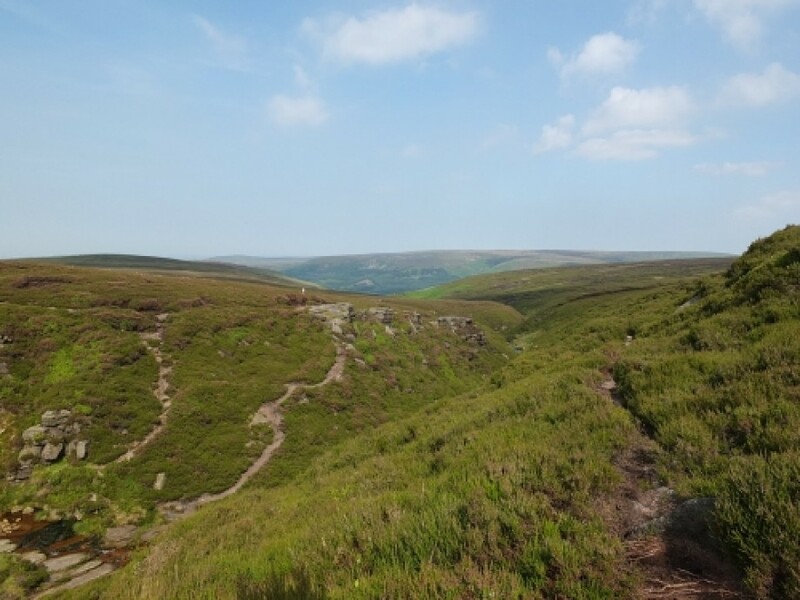 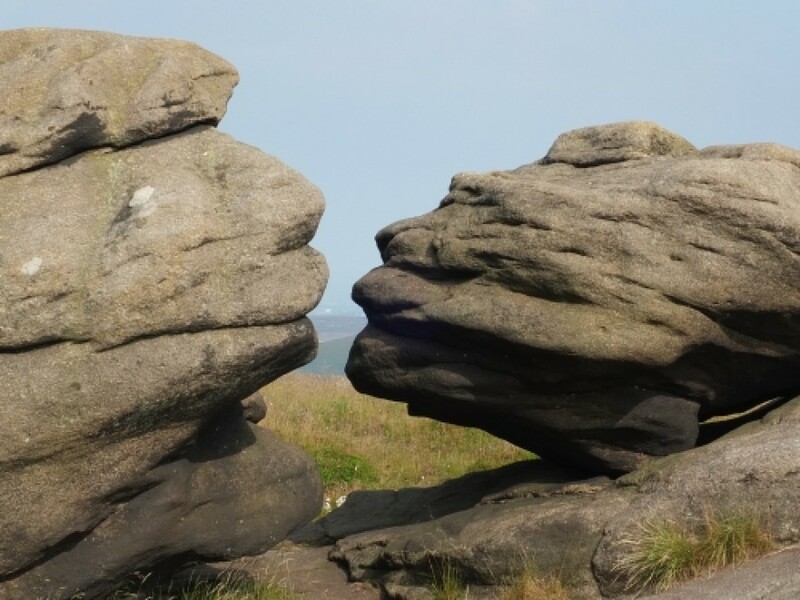 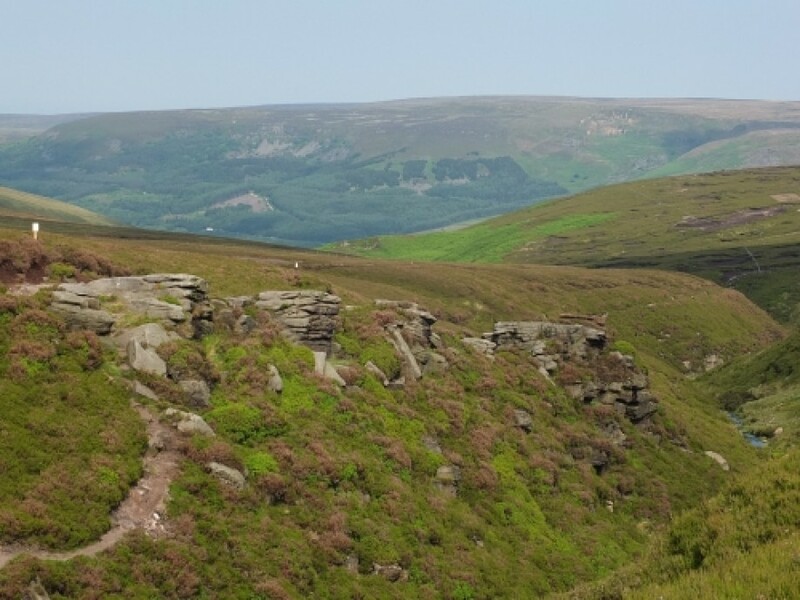 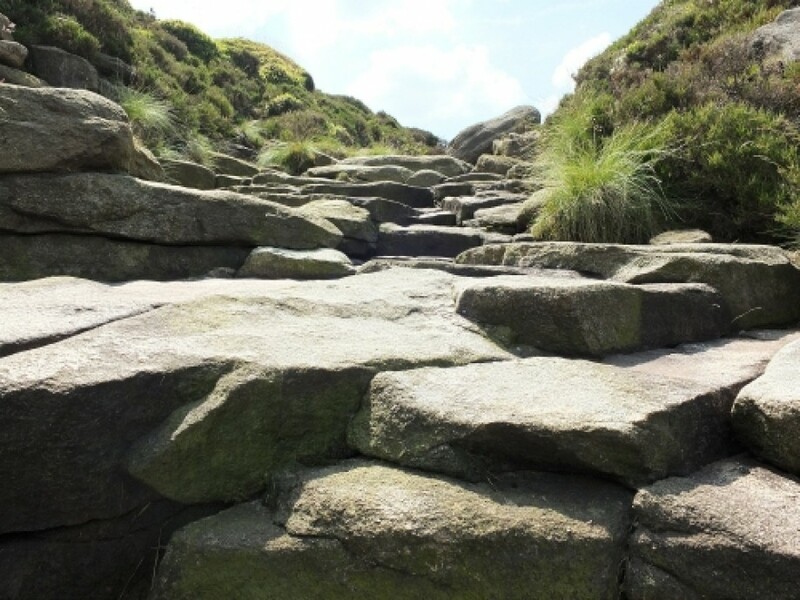 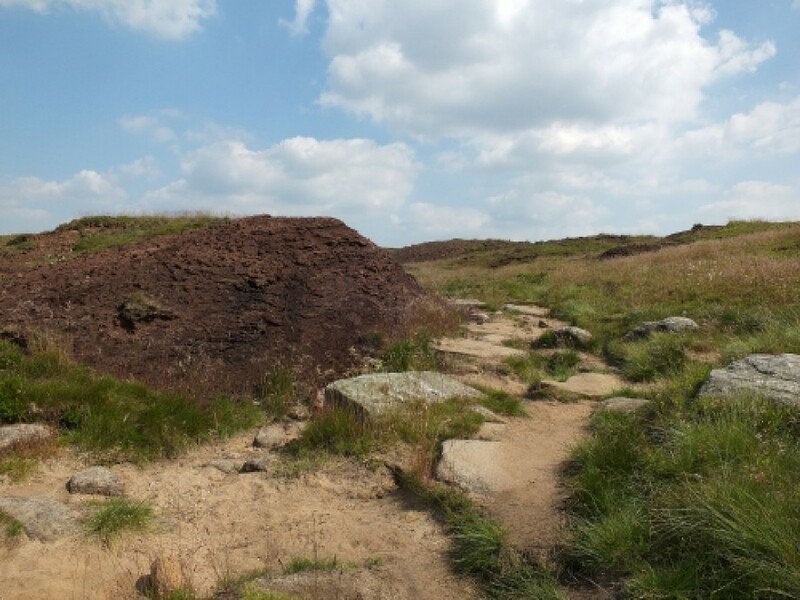 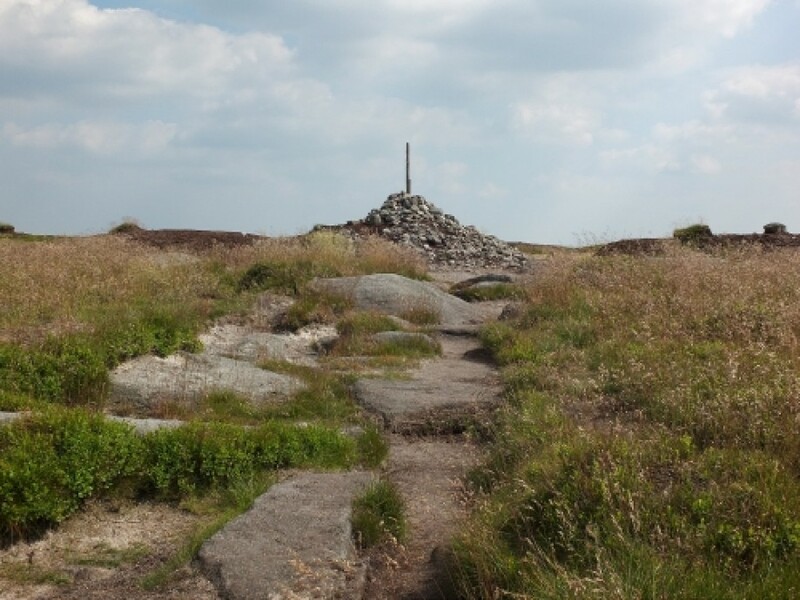 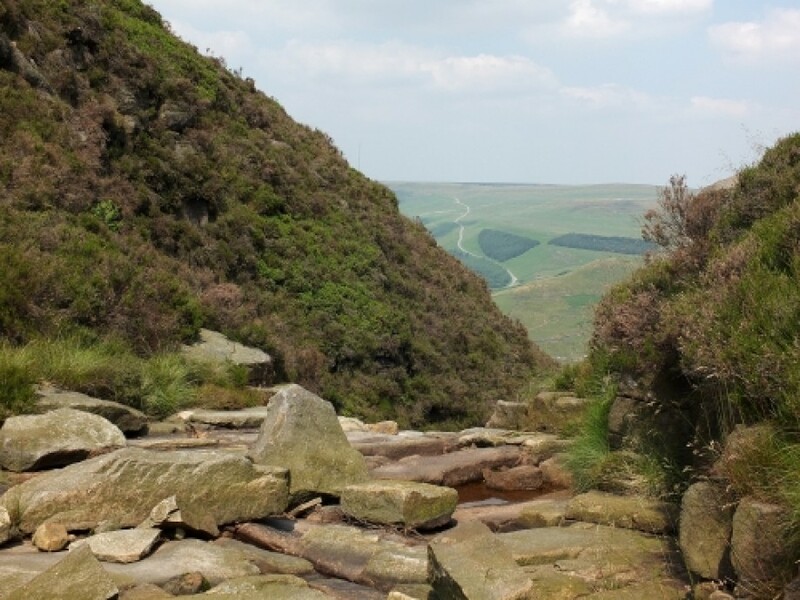 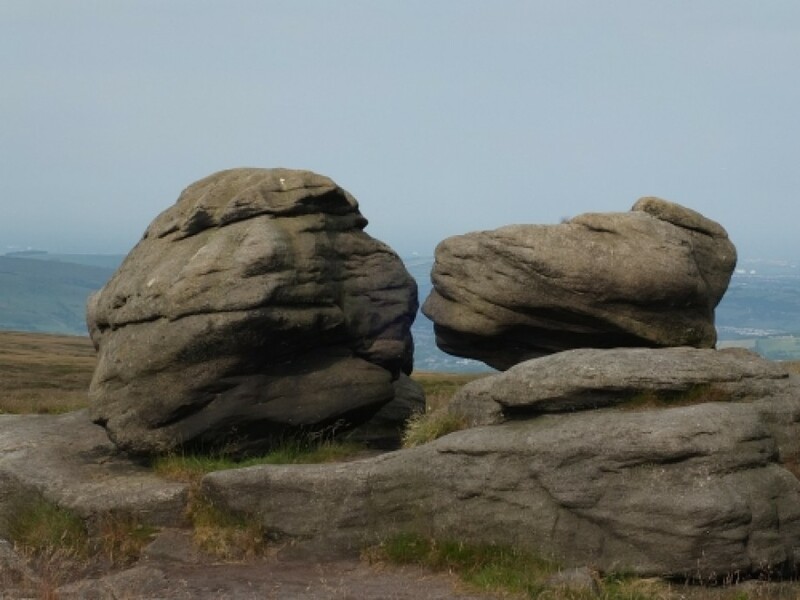 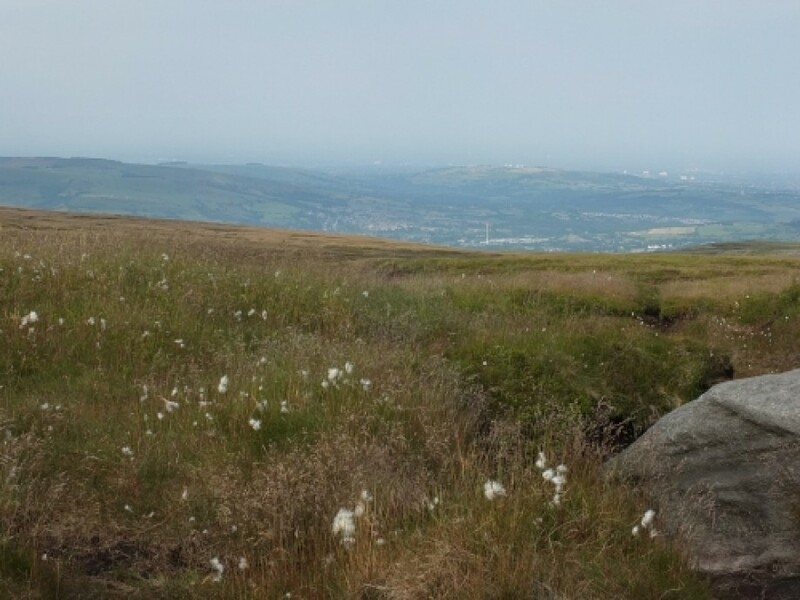 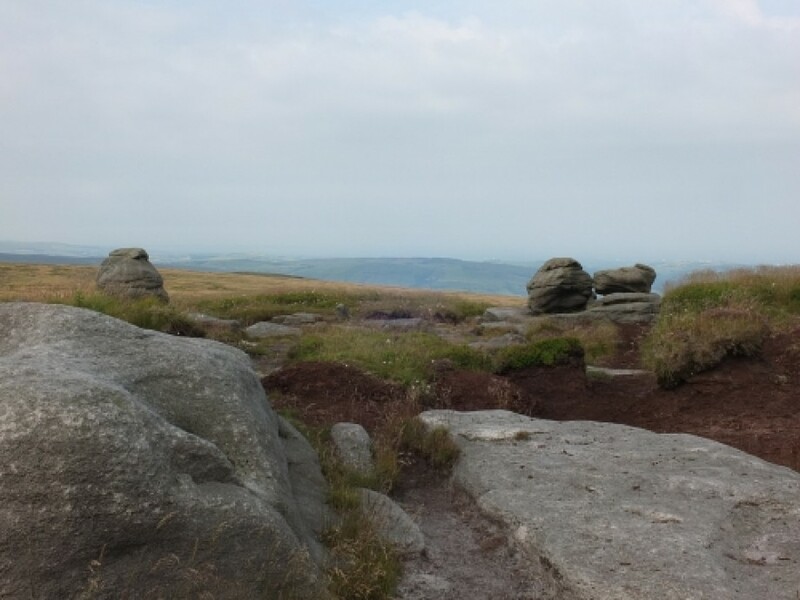 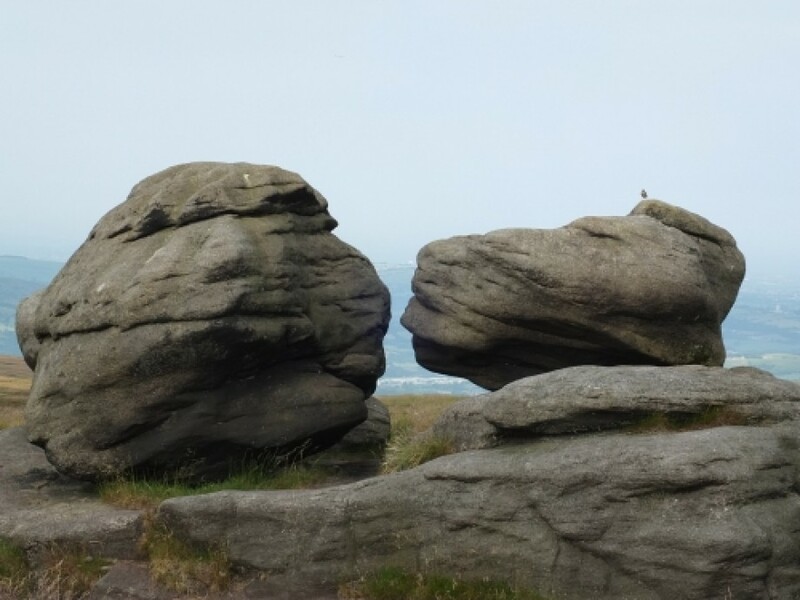 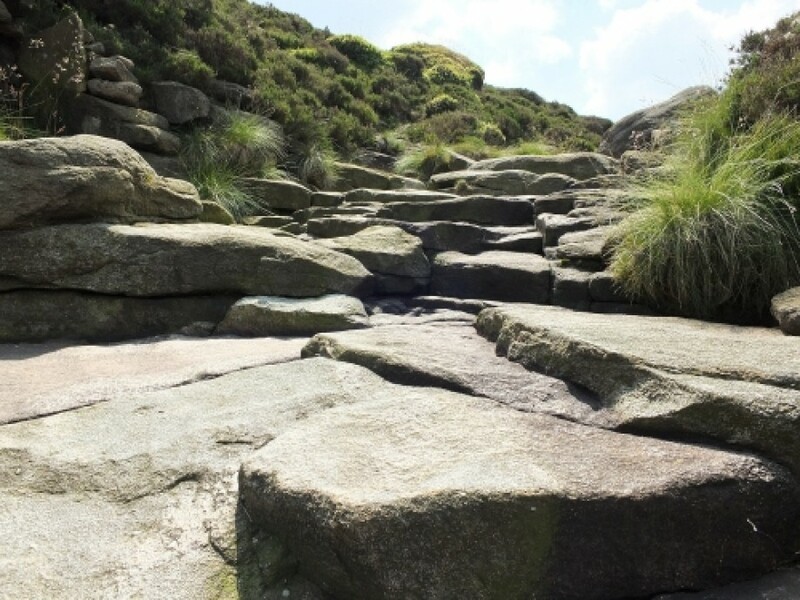 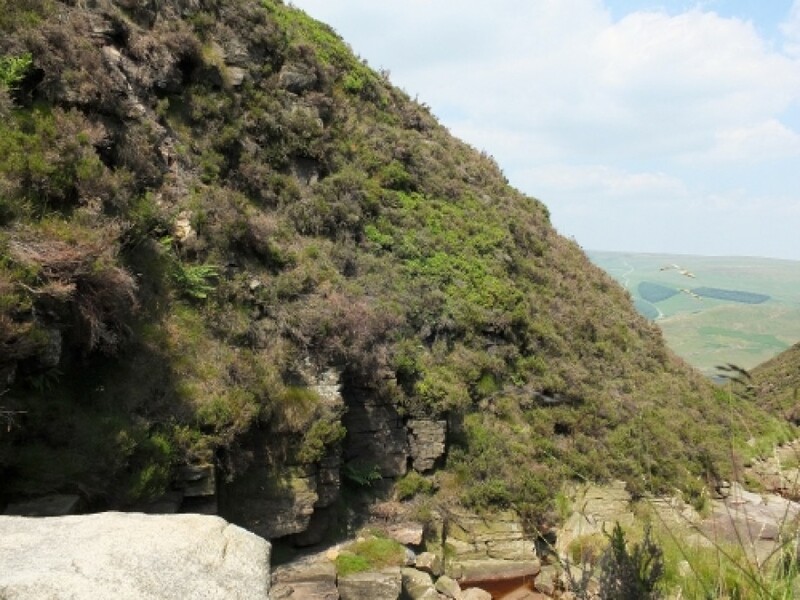 I've usually walked in the southern part of the Dark Peak , largely because living in southern Sheffield makes the Snake and Hathersage roads the most convenient ways out . 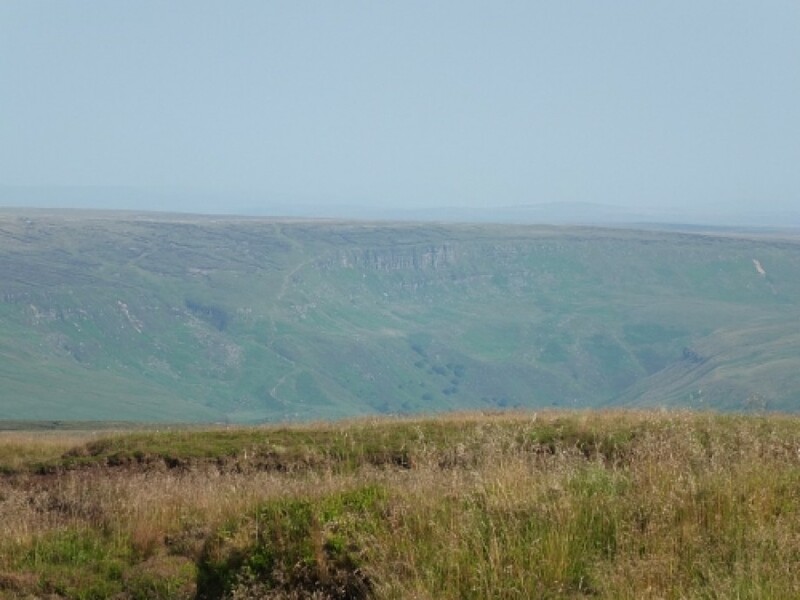 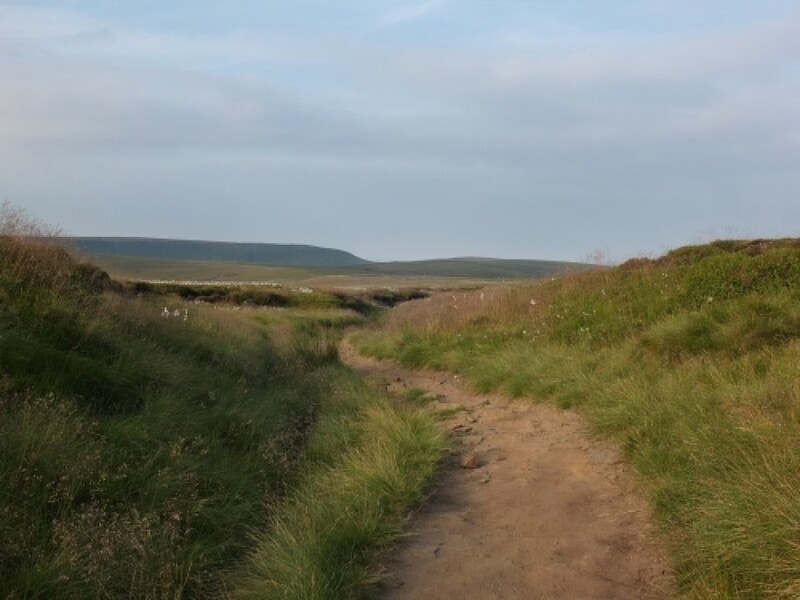 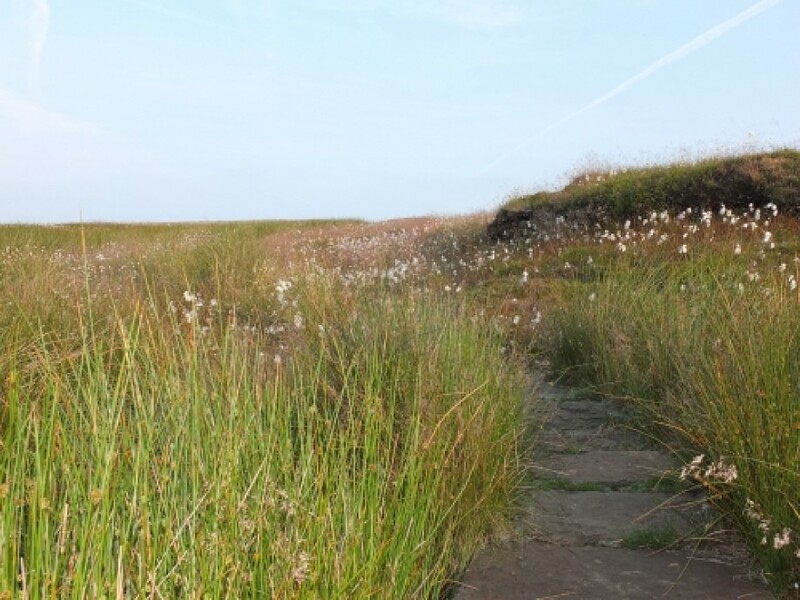 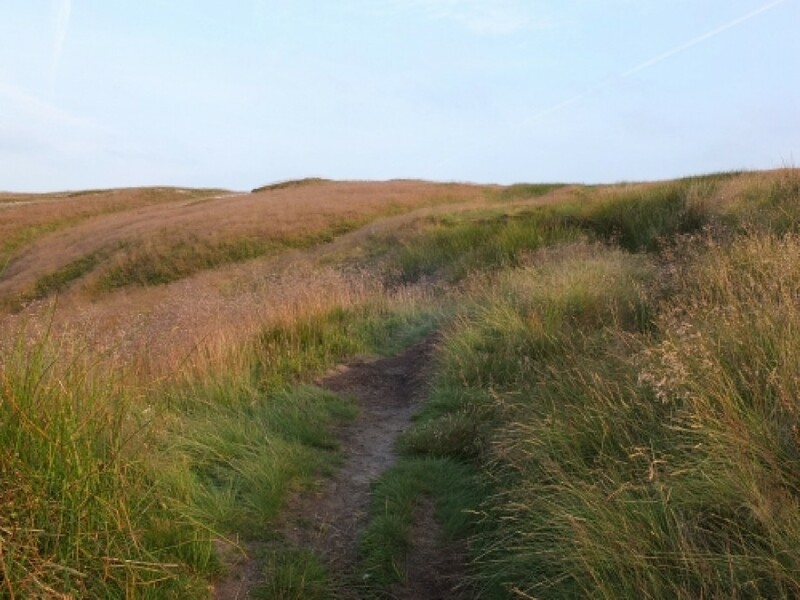 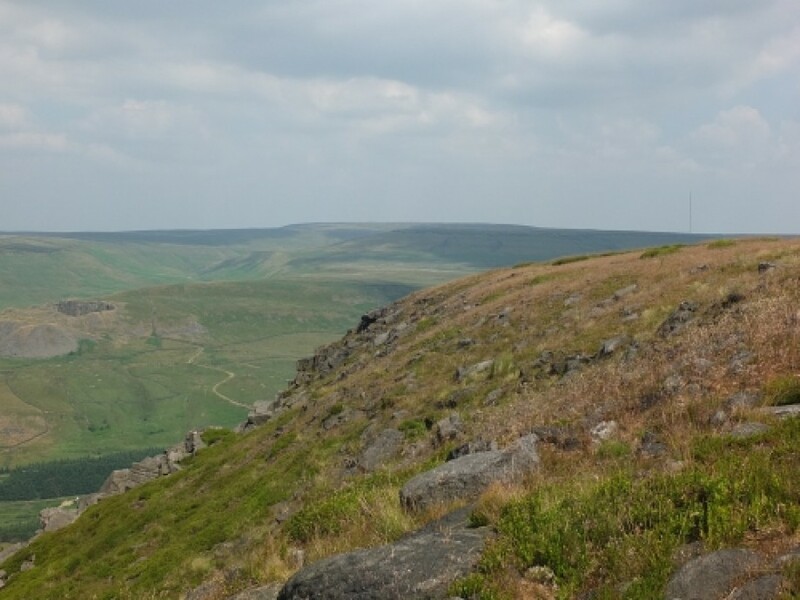 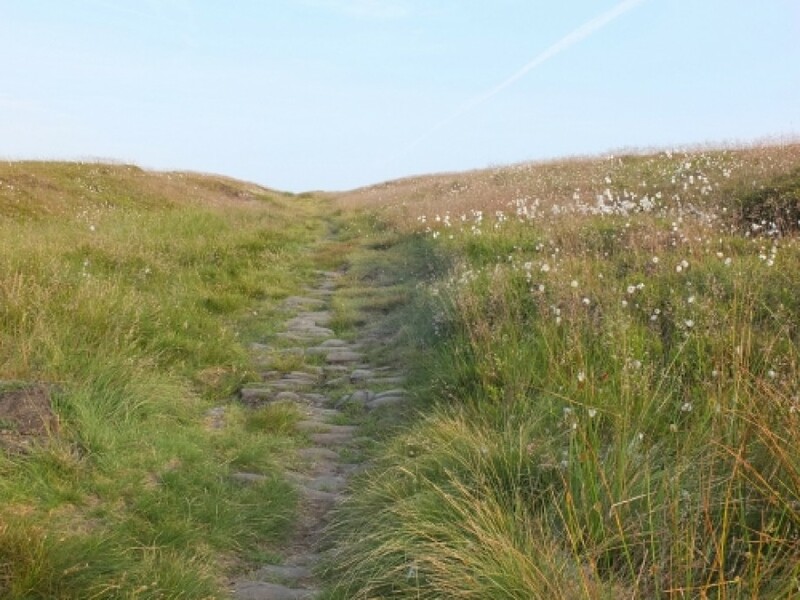 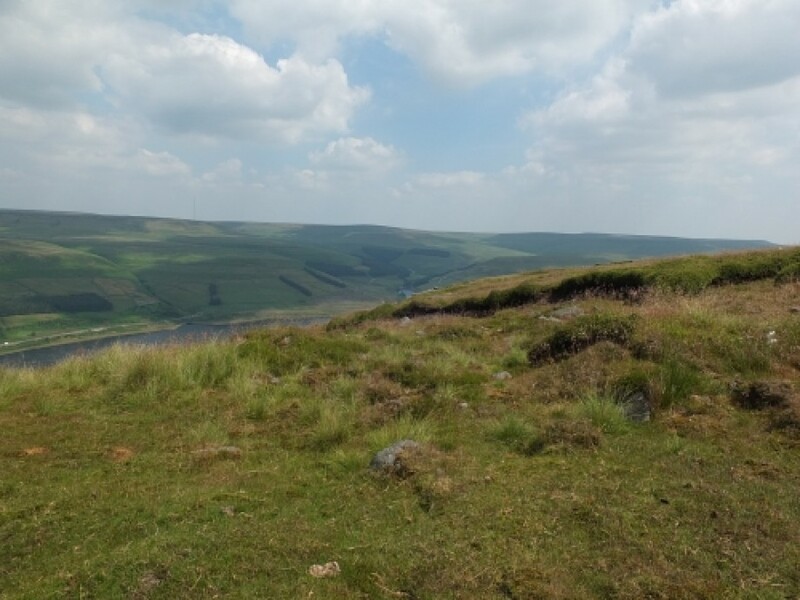 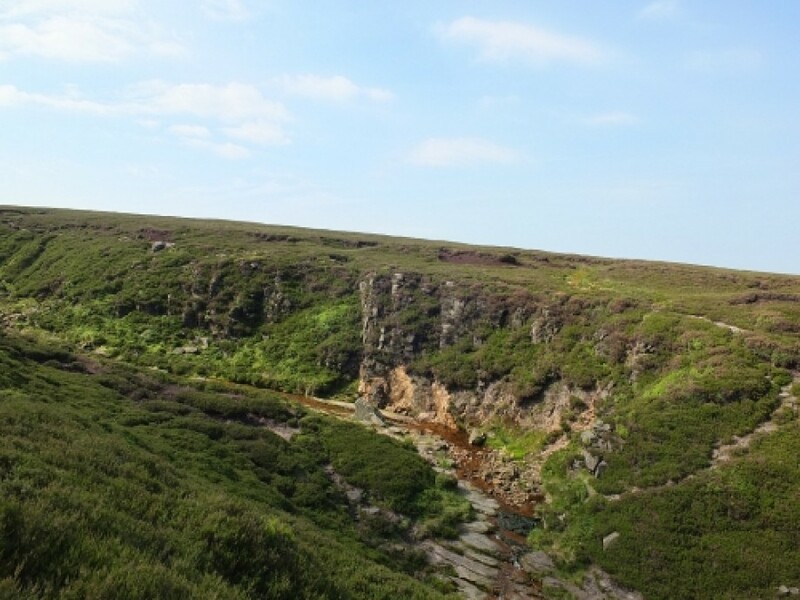 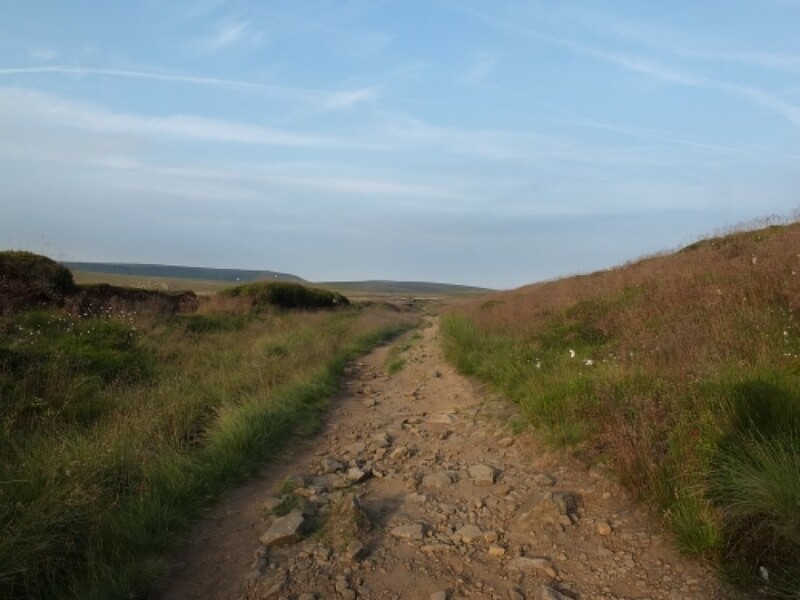 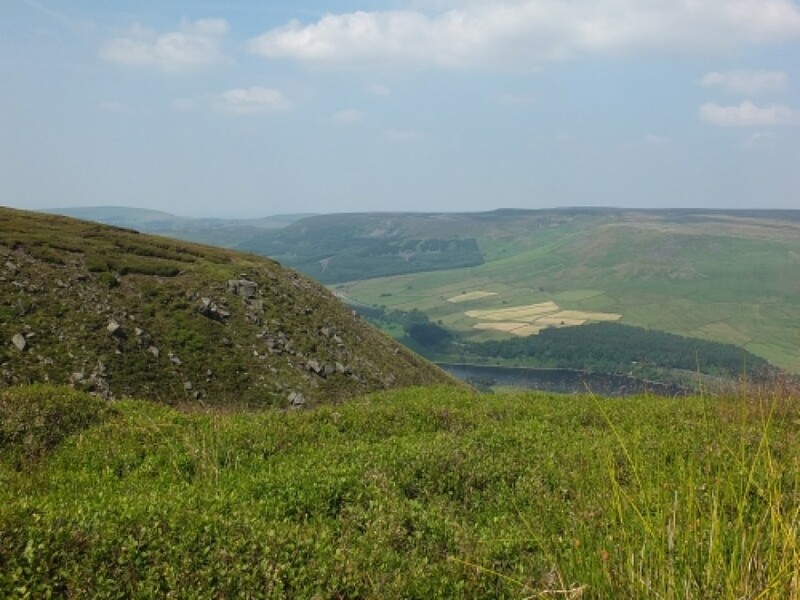 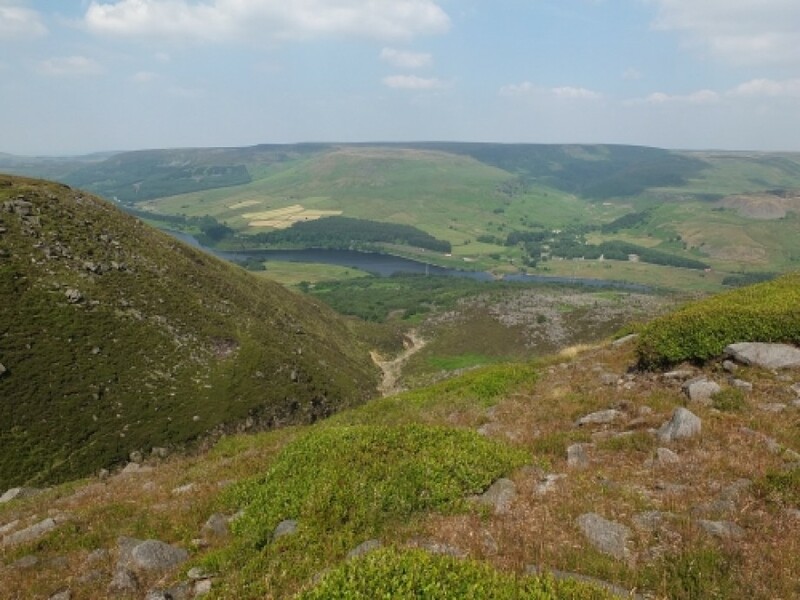 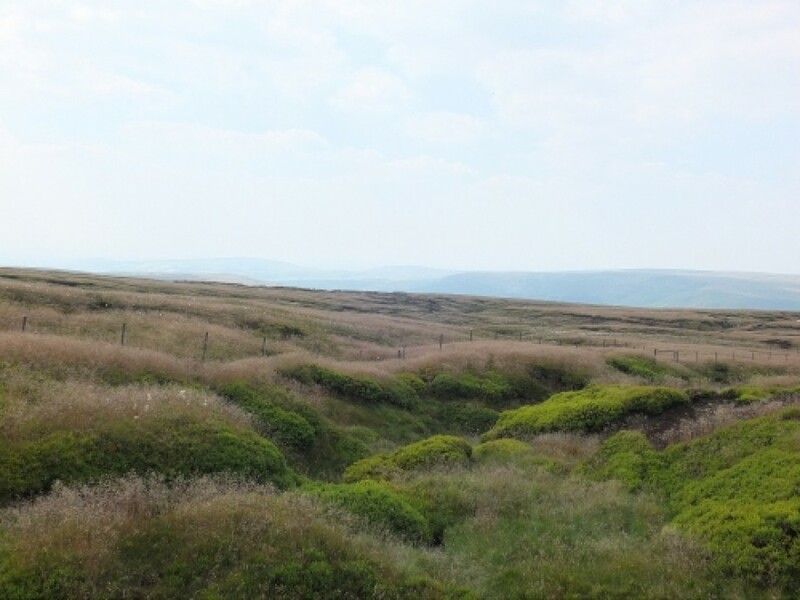 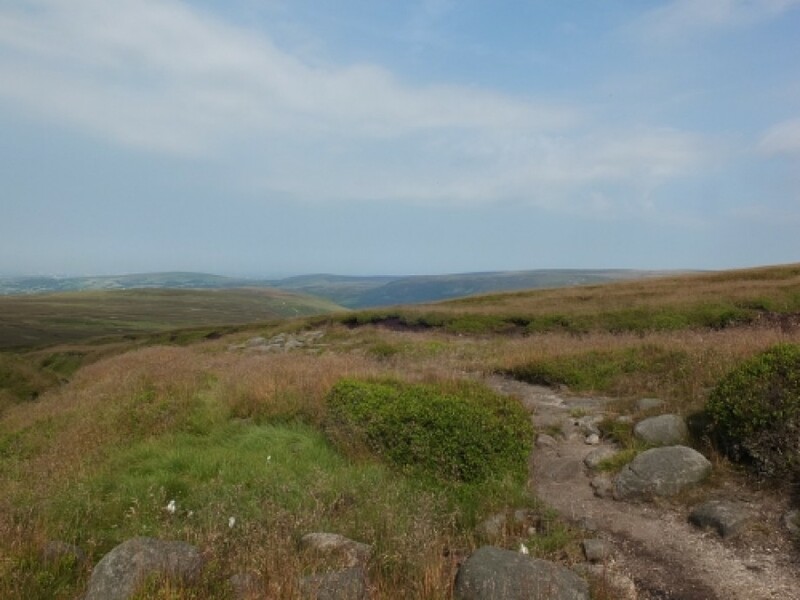 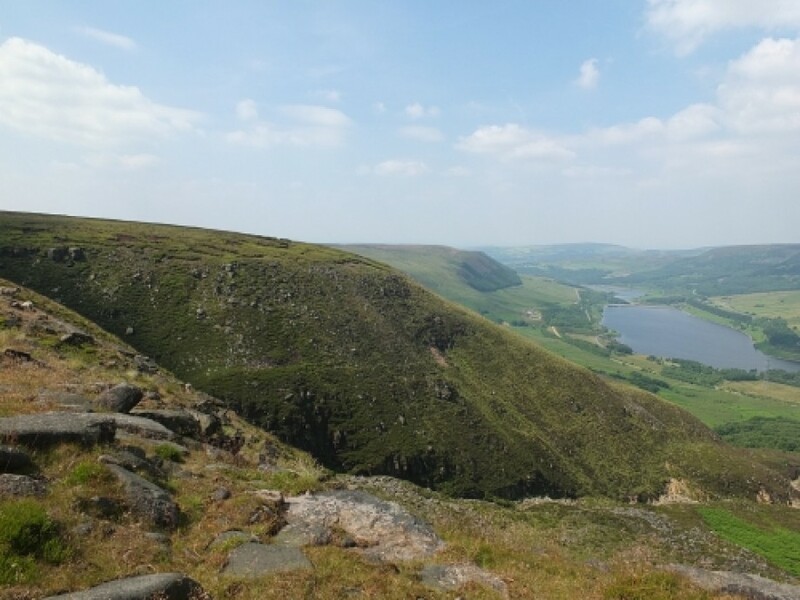 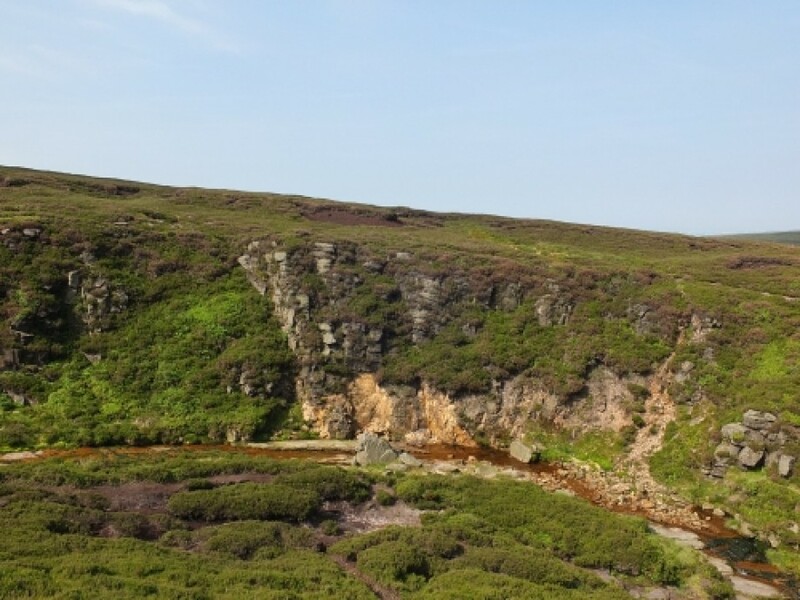 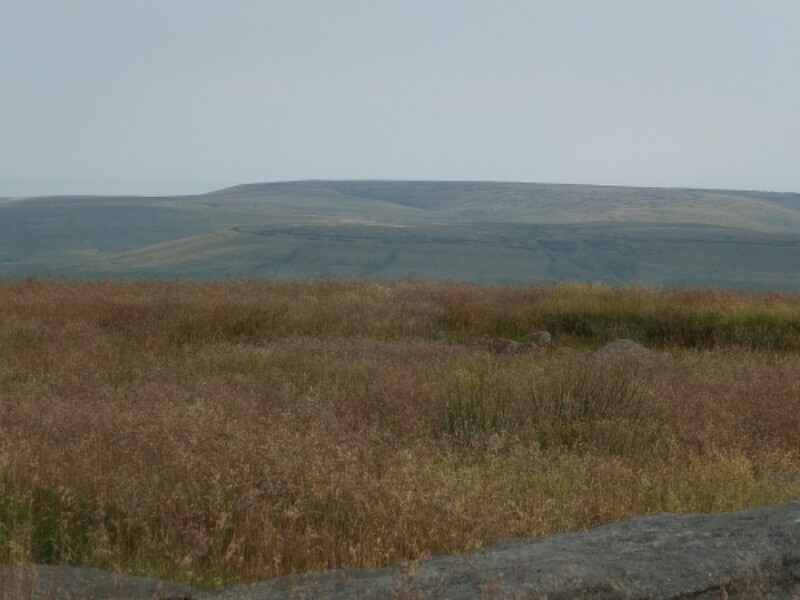 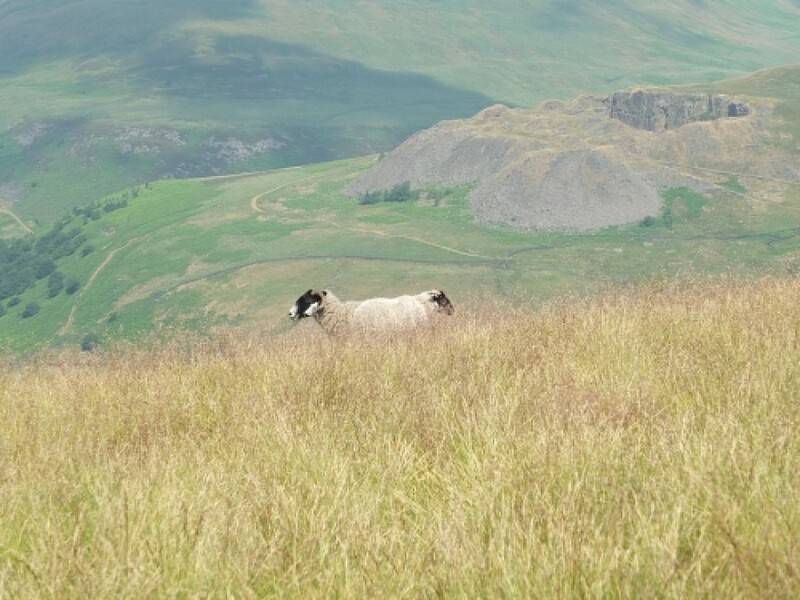 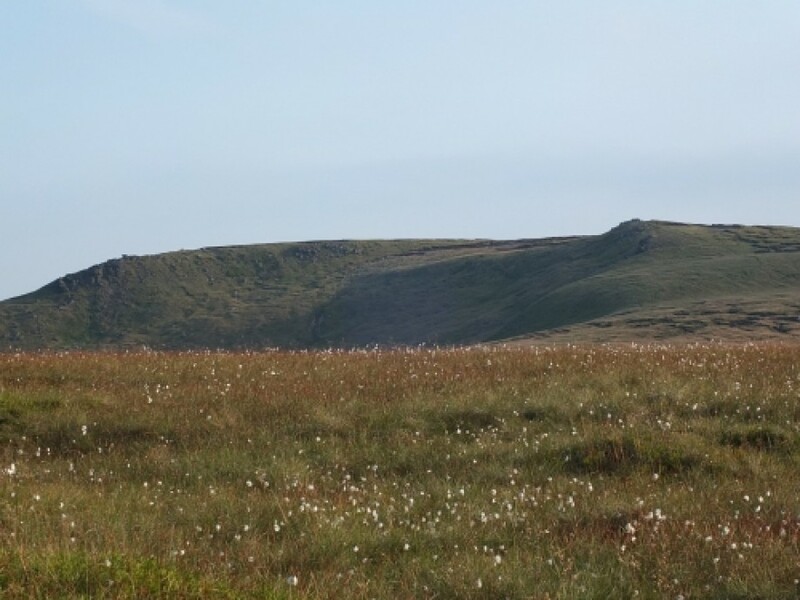 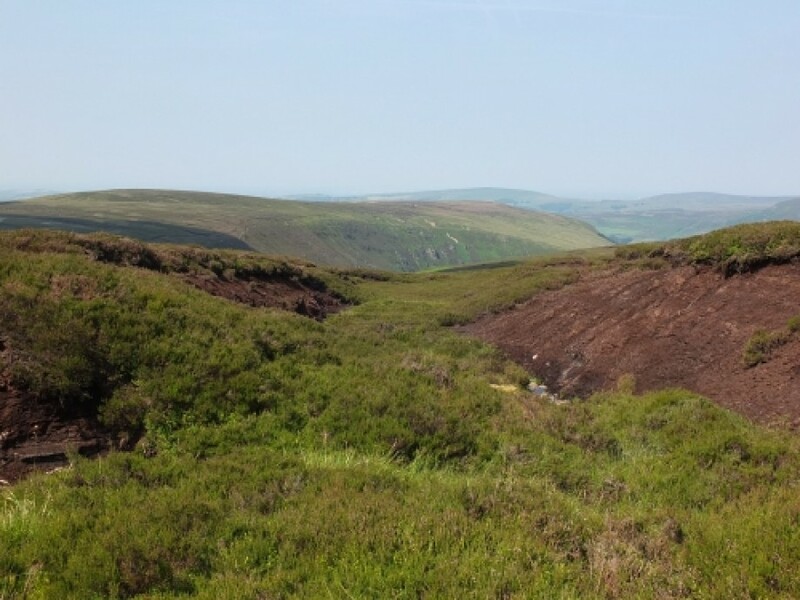 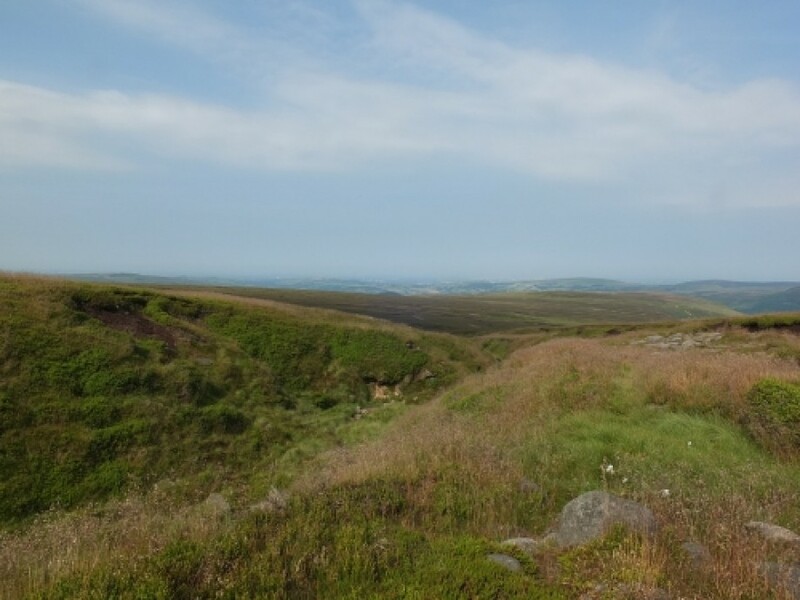 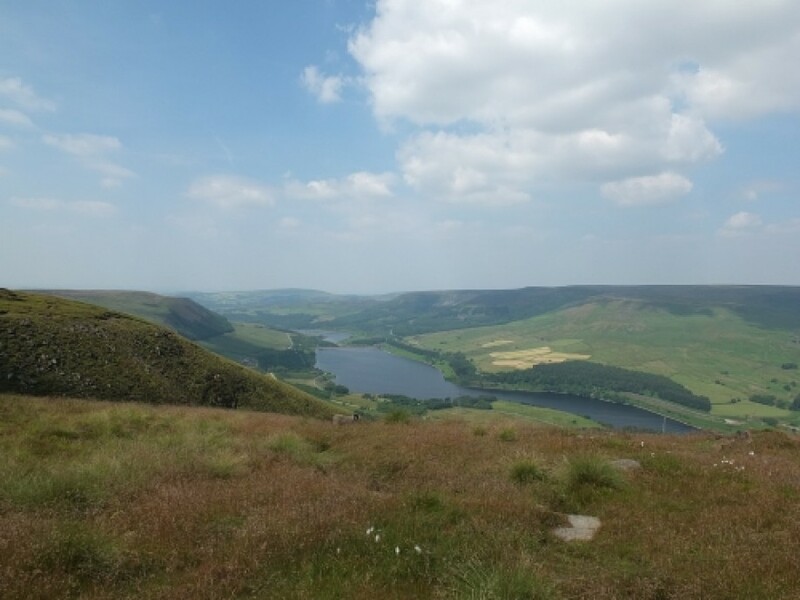 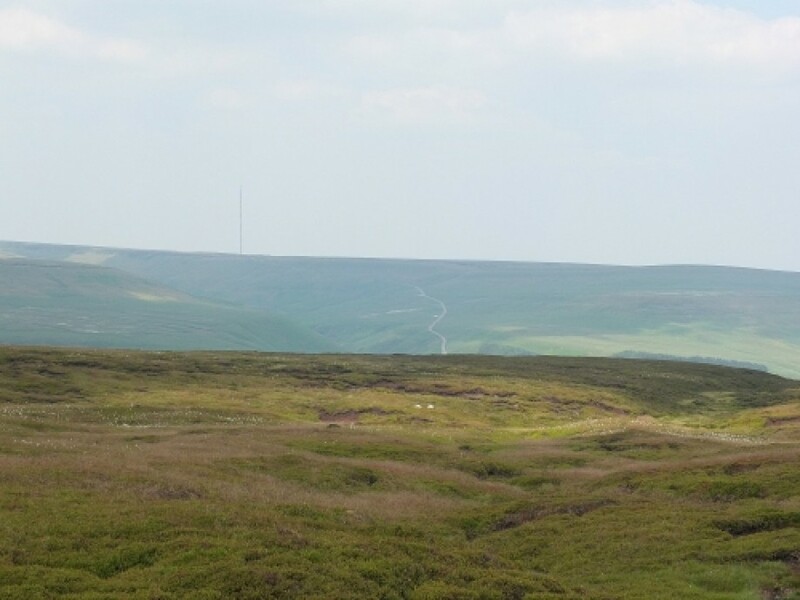 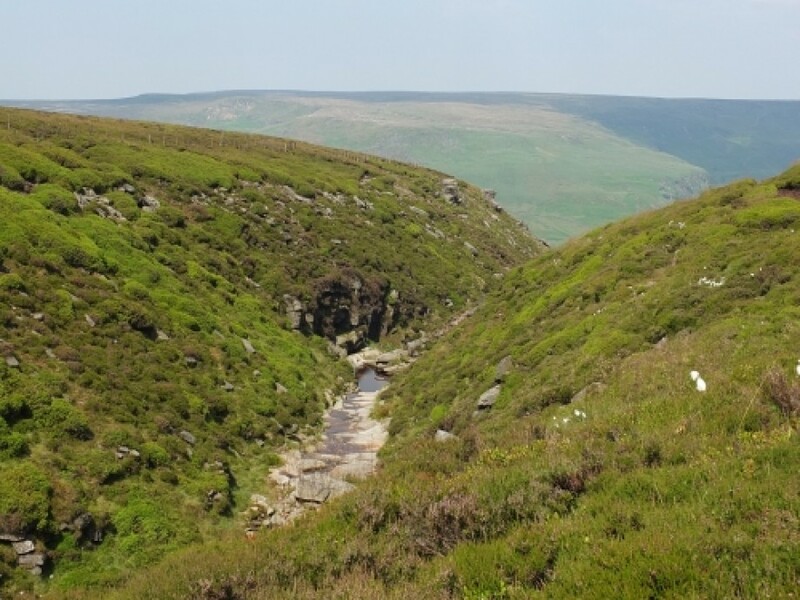 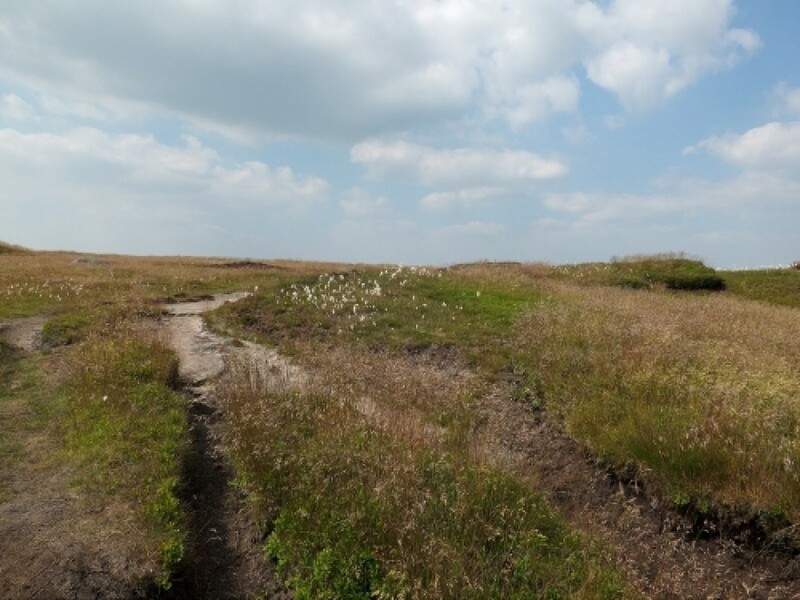 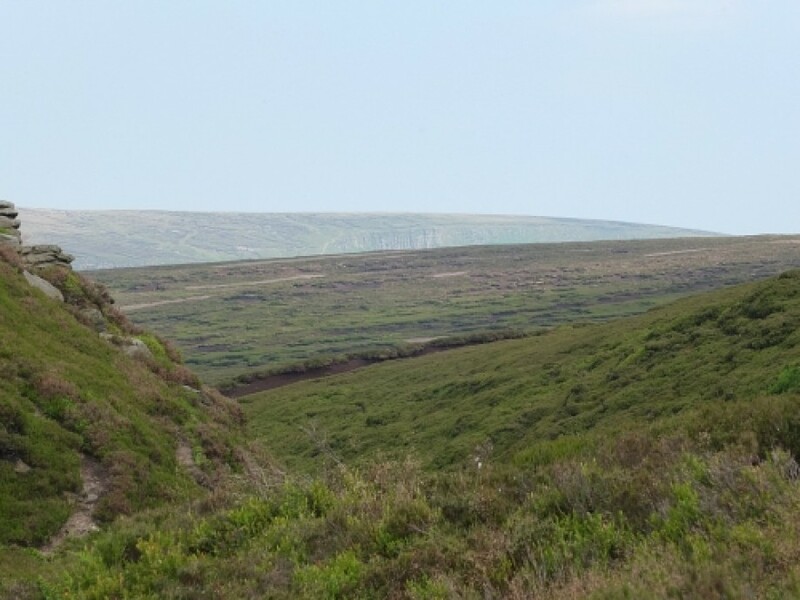 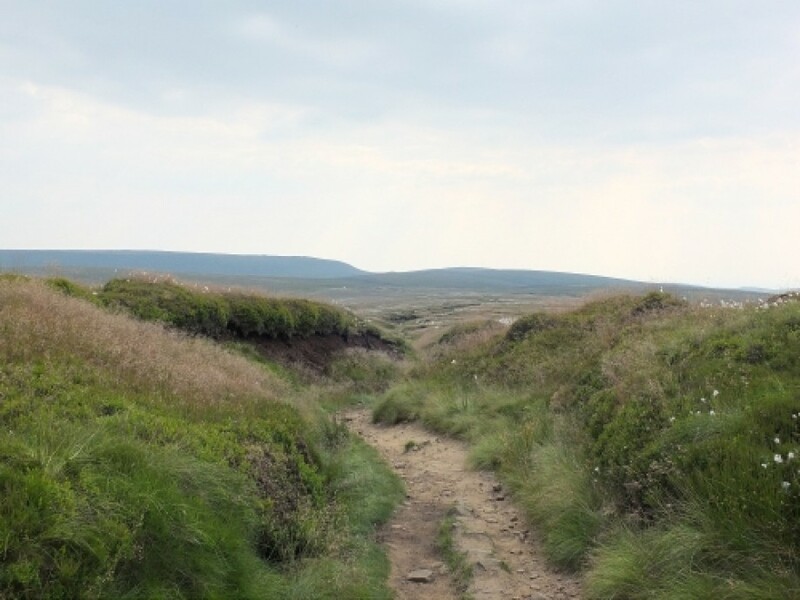 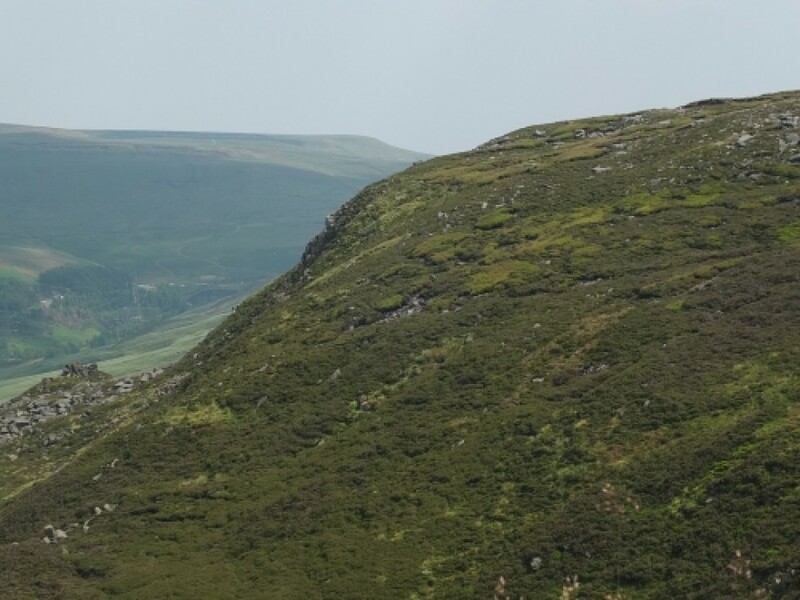 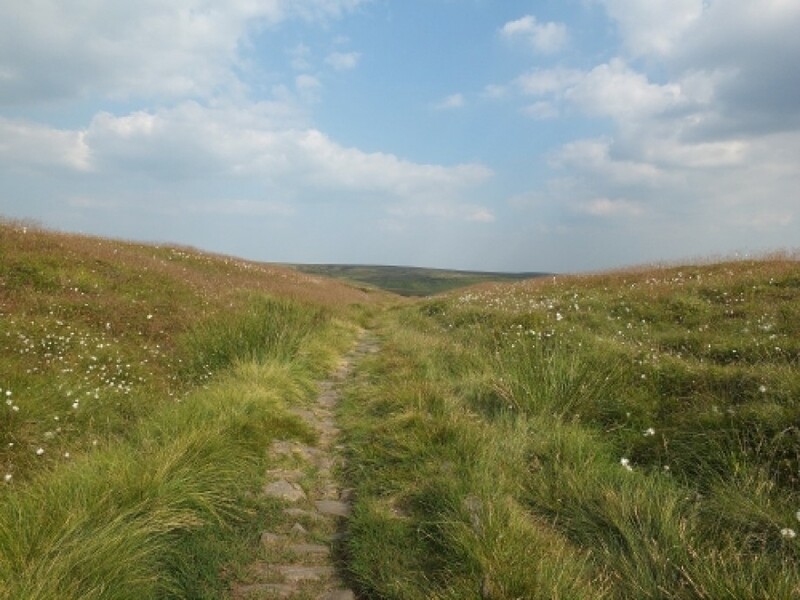 This time I thought I would see if I could tie the northern Bleaklow edges into a walk starting from the south .The Pennine Way makes for easy access , and was deserted early in the morning . 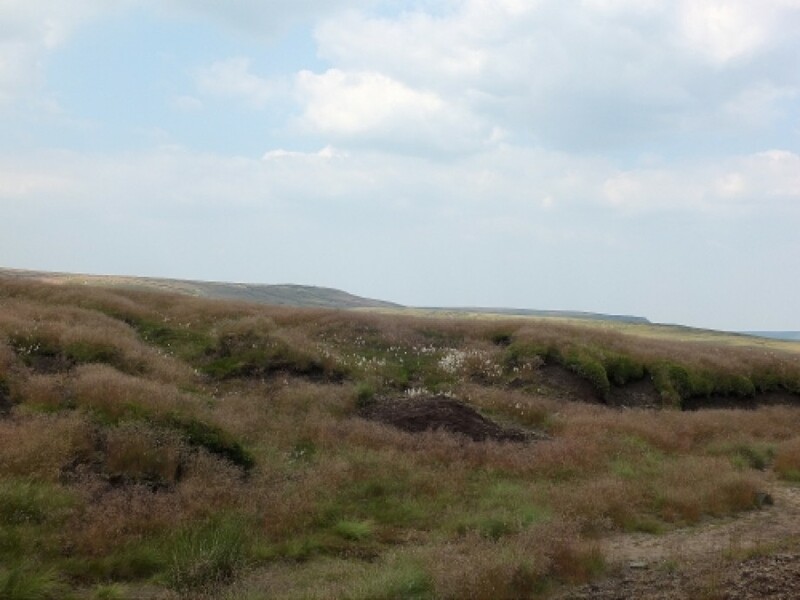 It was also obvious that it was going to be VERY warm . 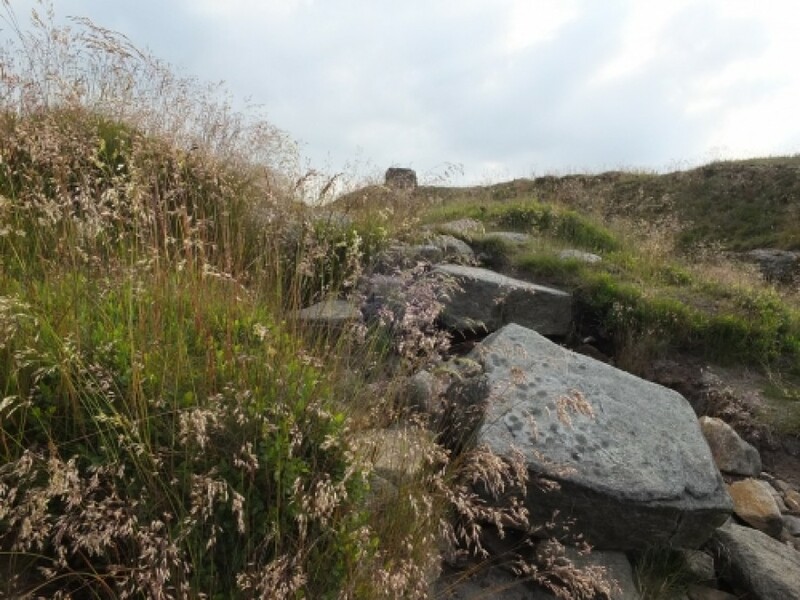 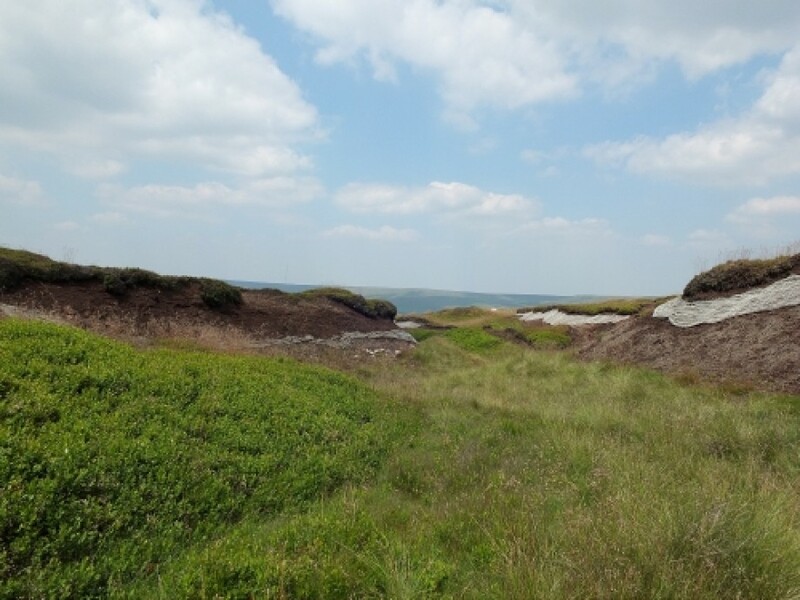 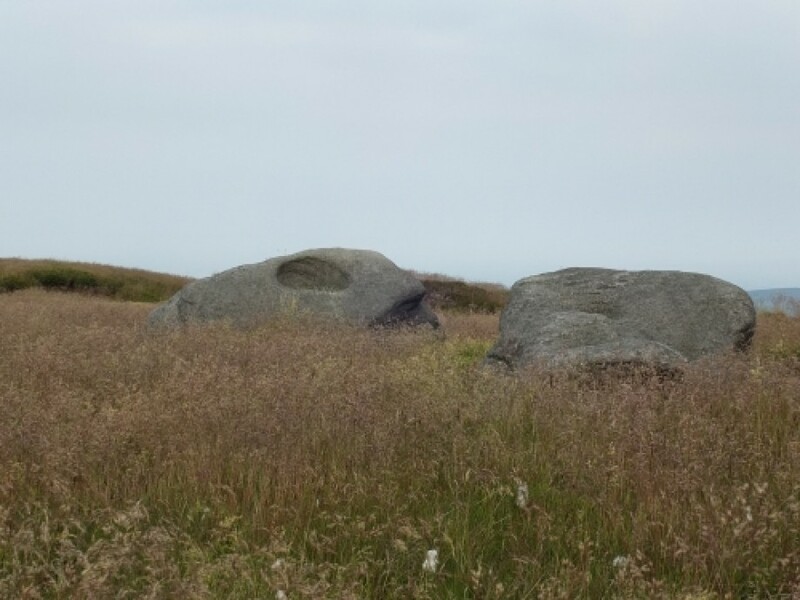 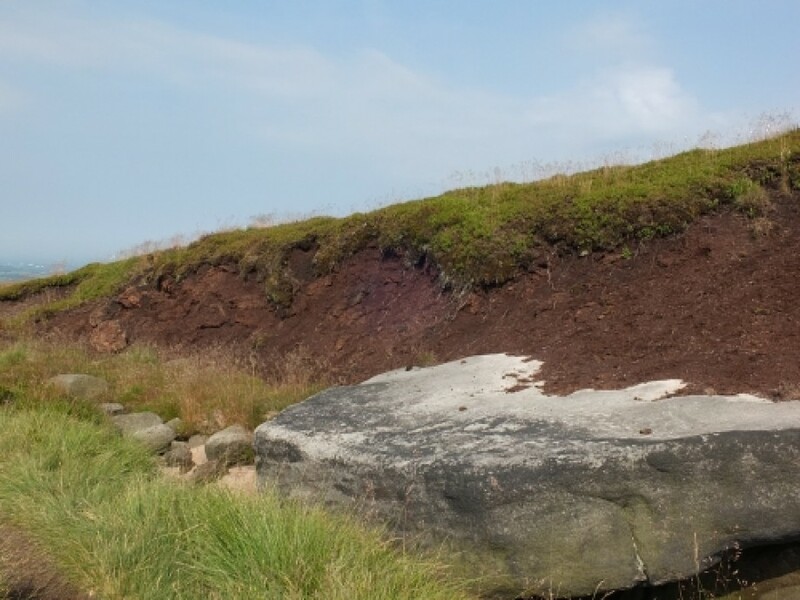 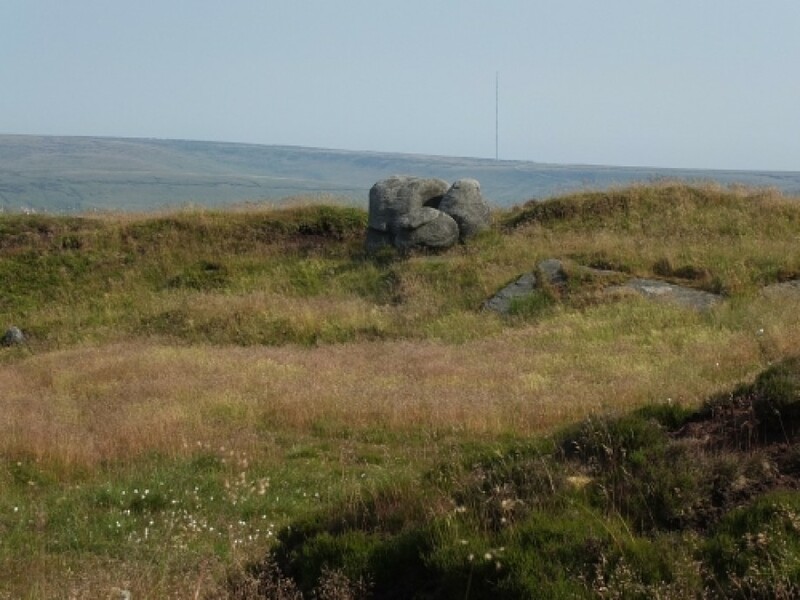 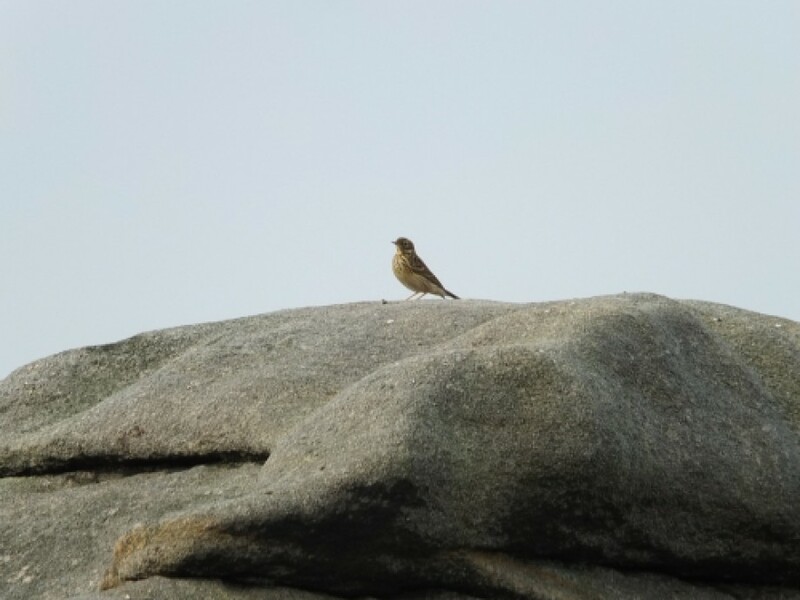 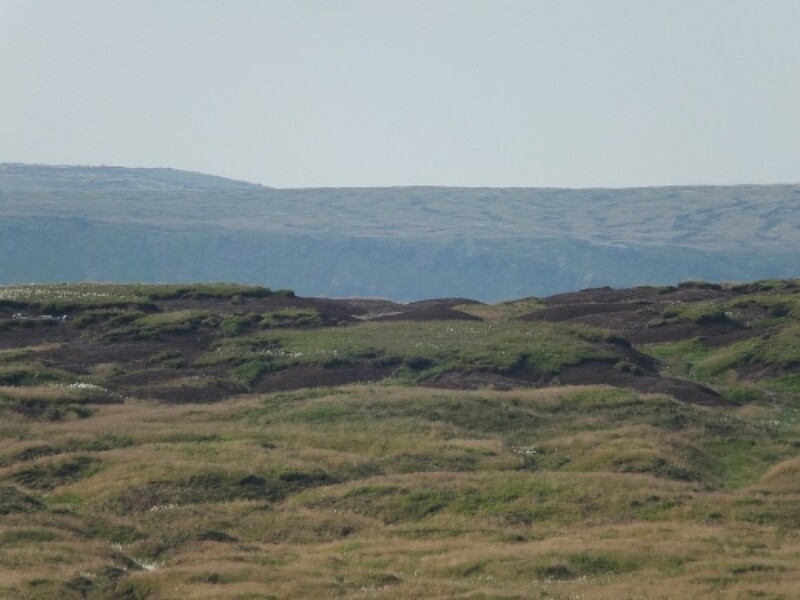 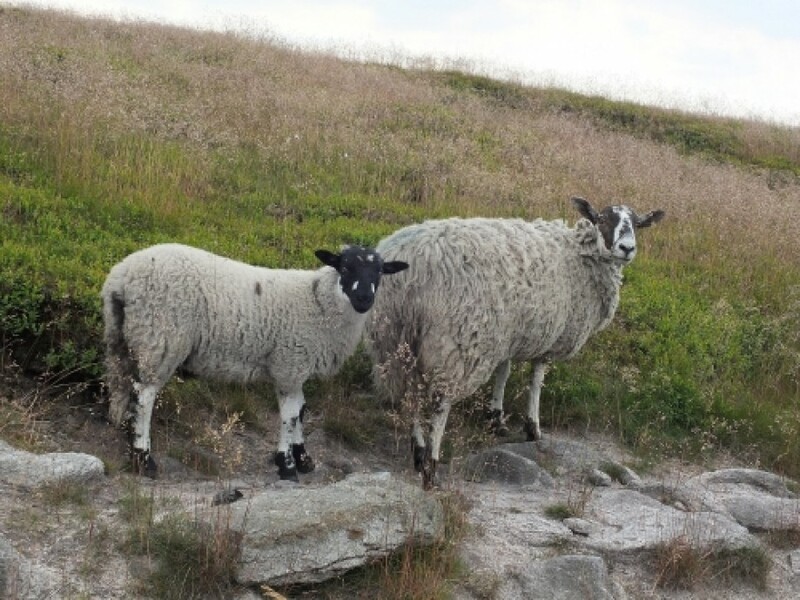 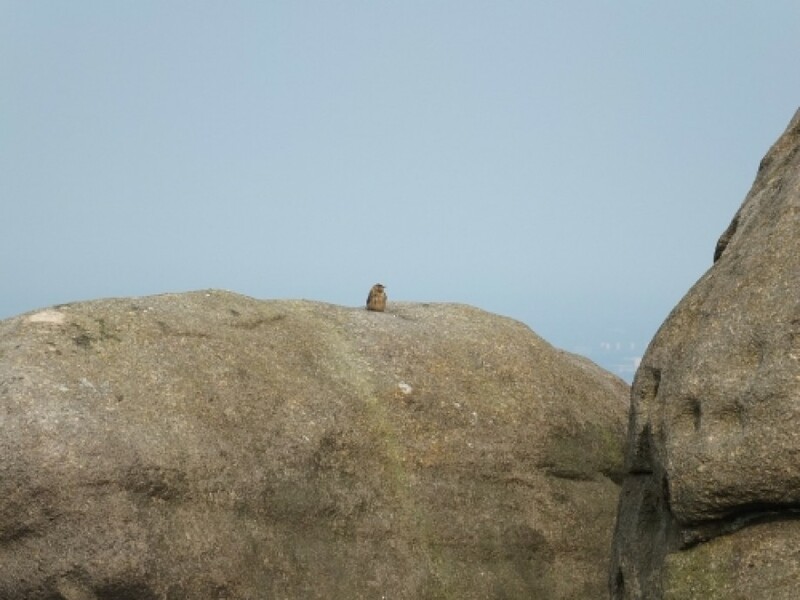 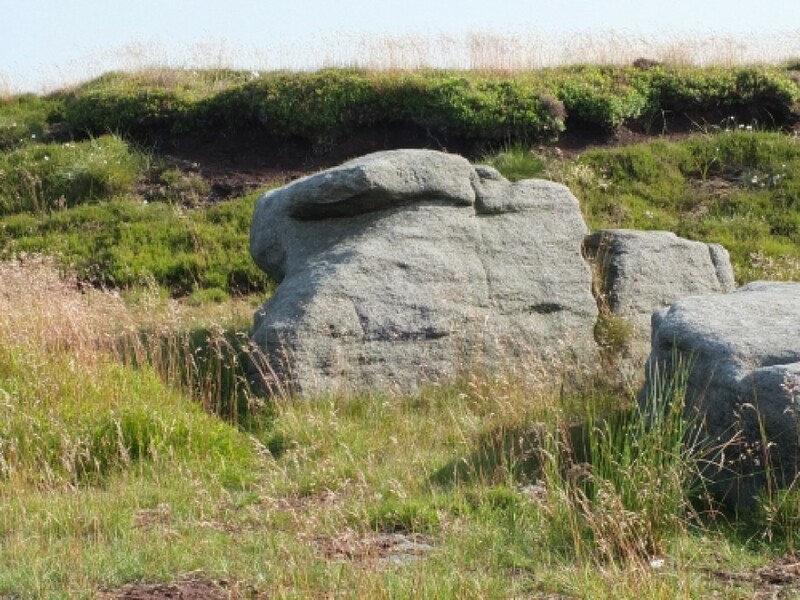 At Bleaklow head I made the obligatory visit to the Wain Stones , found a meadow pipit firmly in possession , and thought about which way to go down to John Track Well . 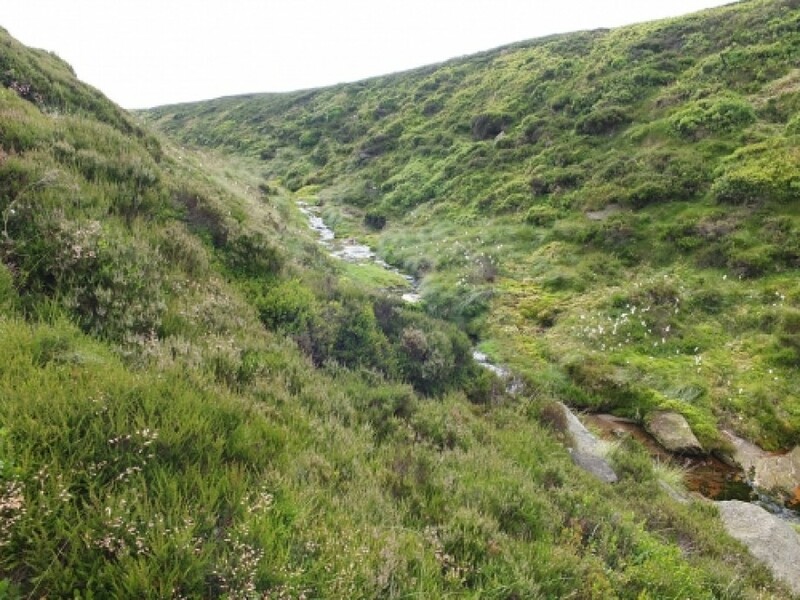 I decided on the easy way , so tracked back to the main drag , and on to Torside Clough . 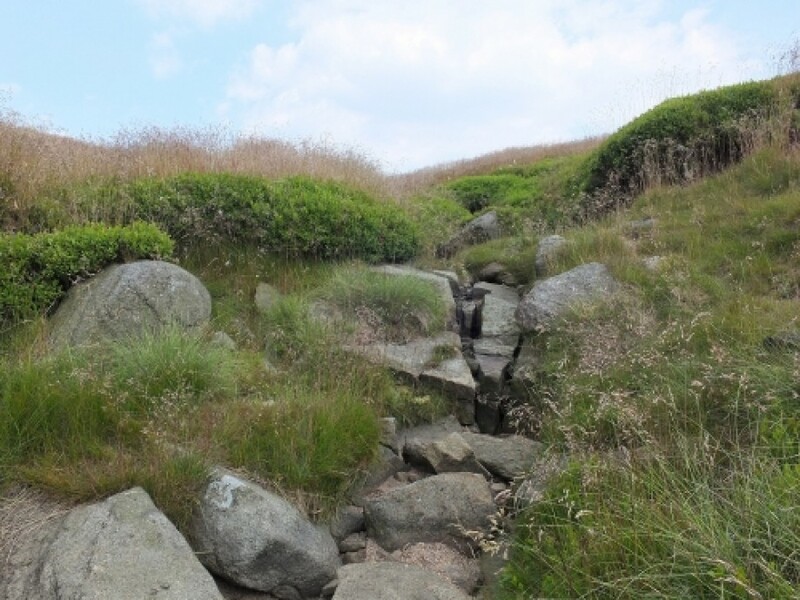 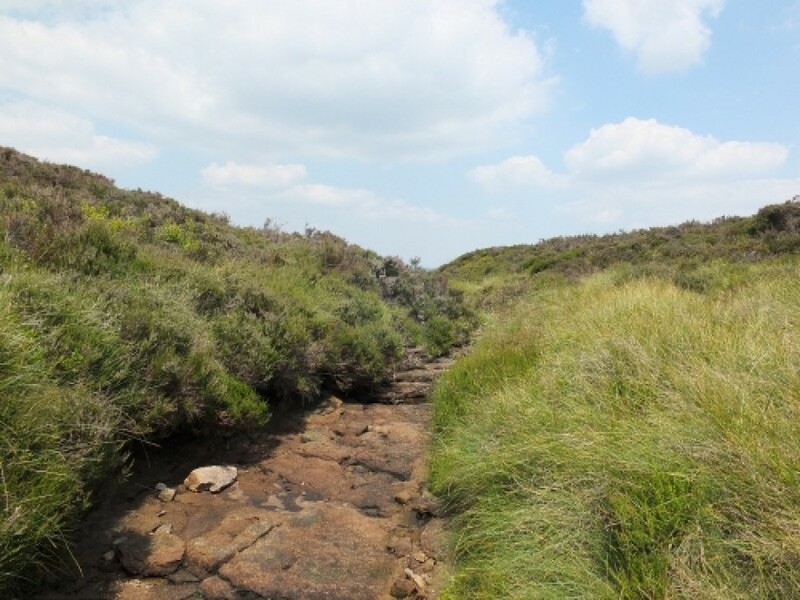 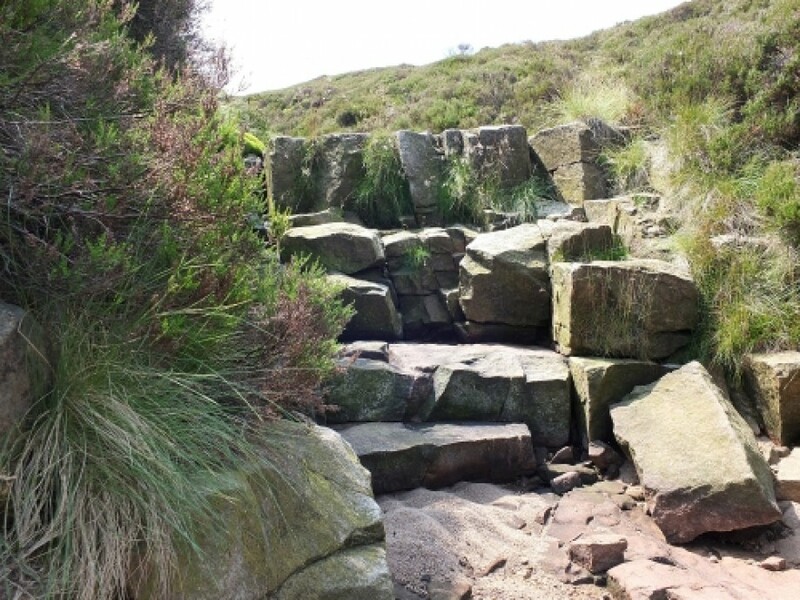 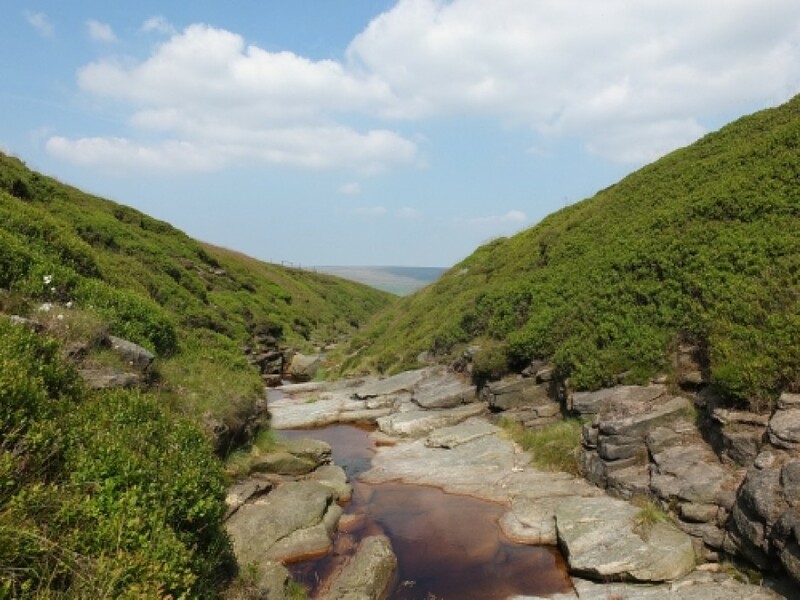 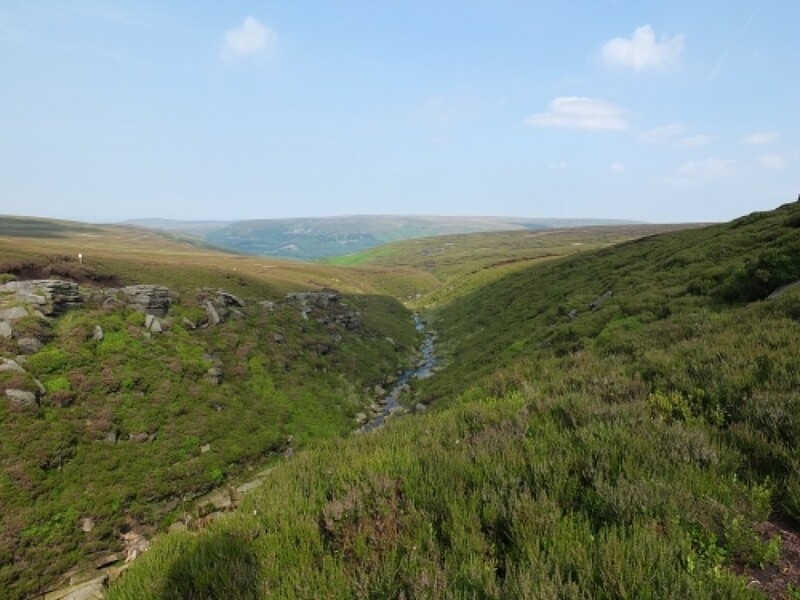 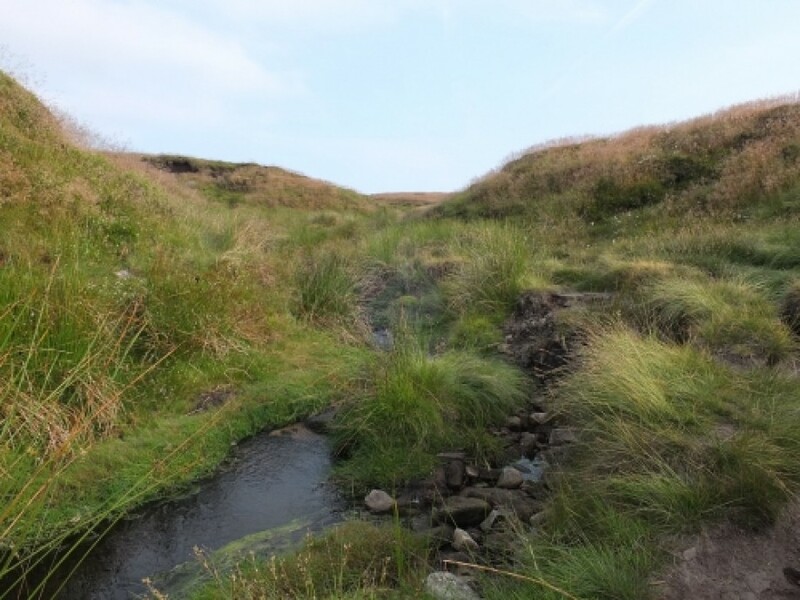 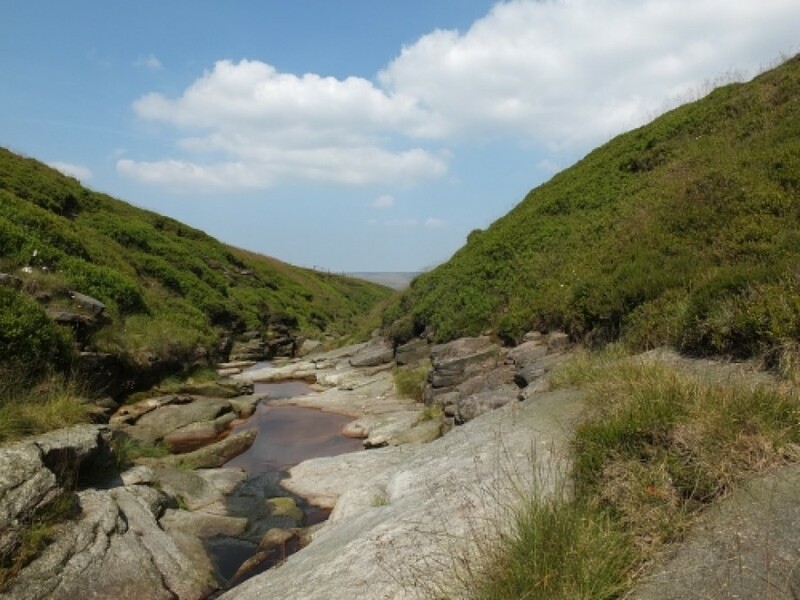 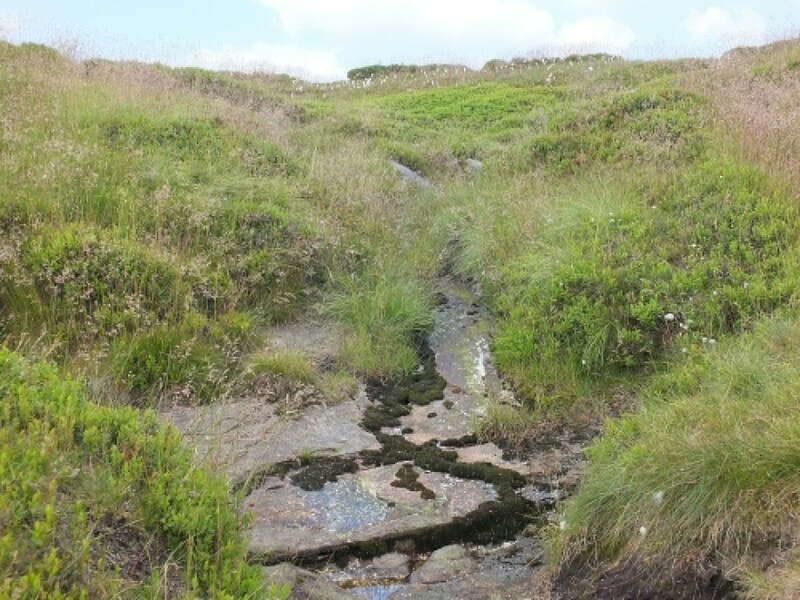 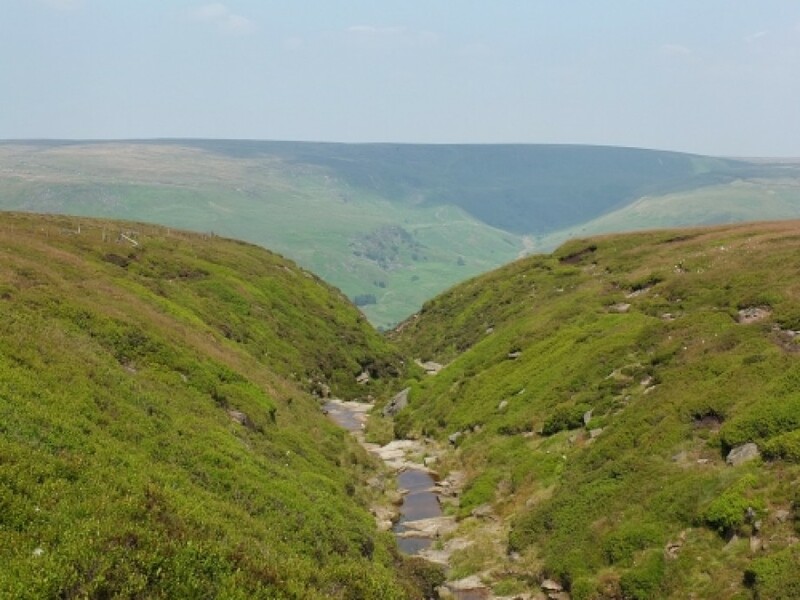 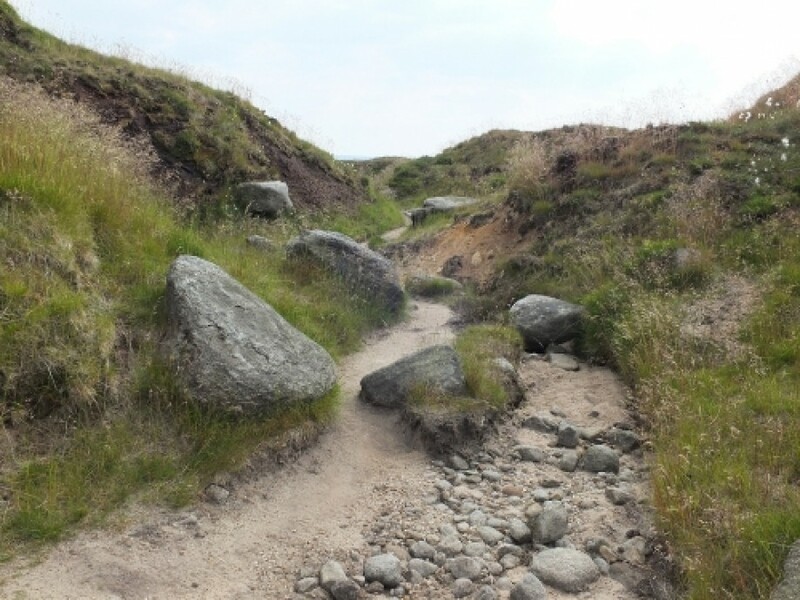 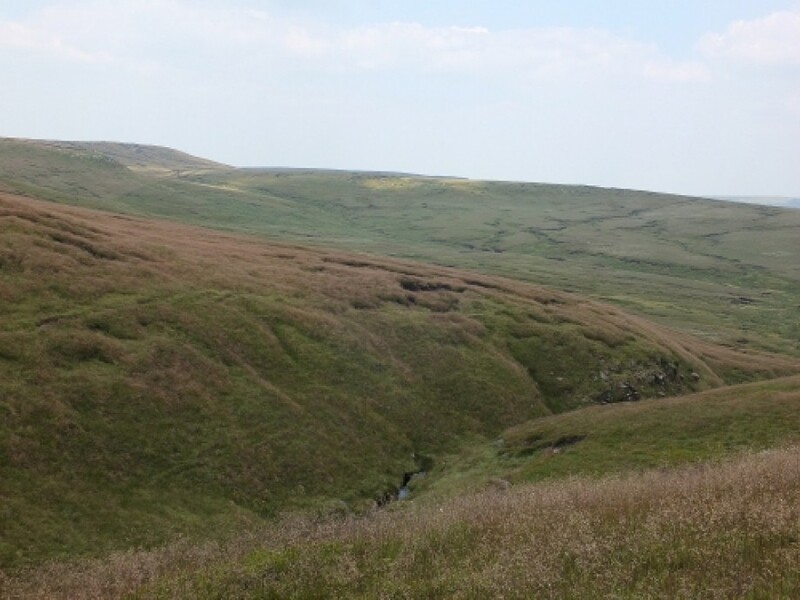 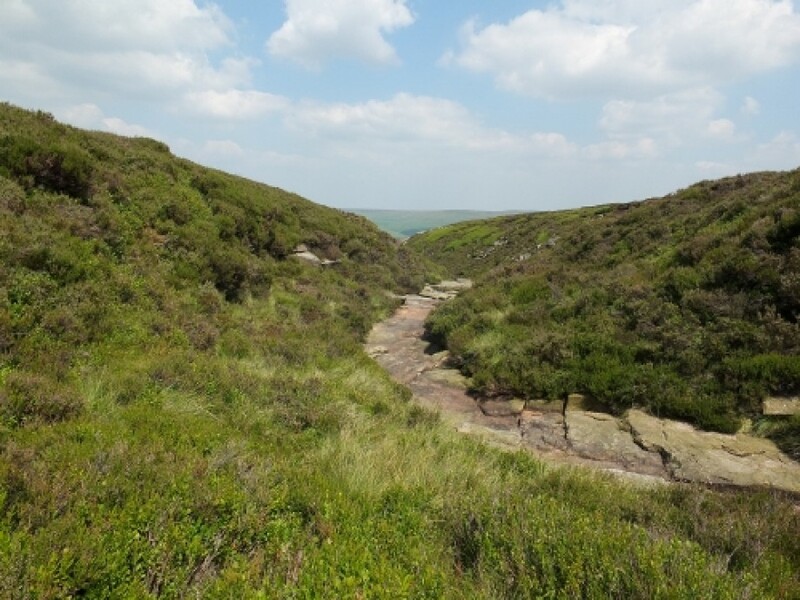 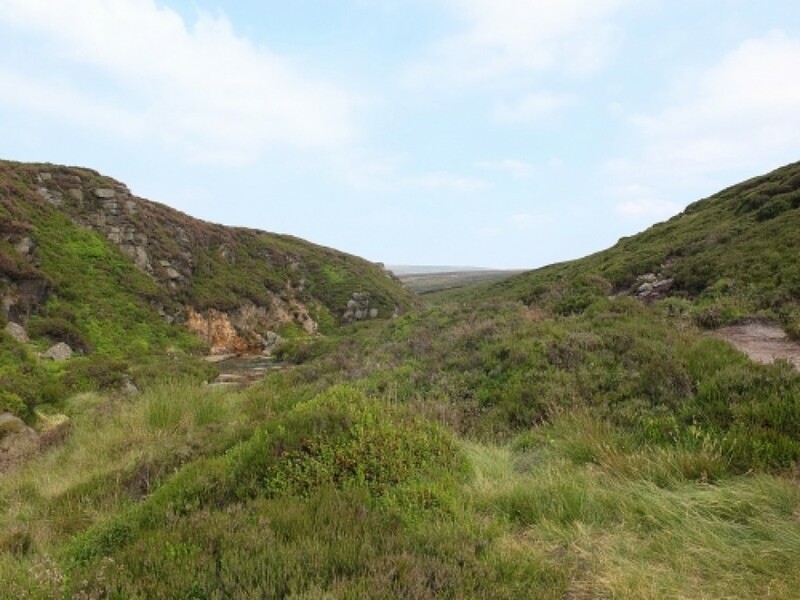 Here the plan was to cut across Sykes Moor to the top of Wildboar Clough , and I had no idea of the going . 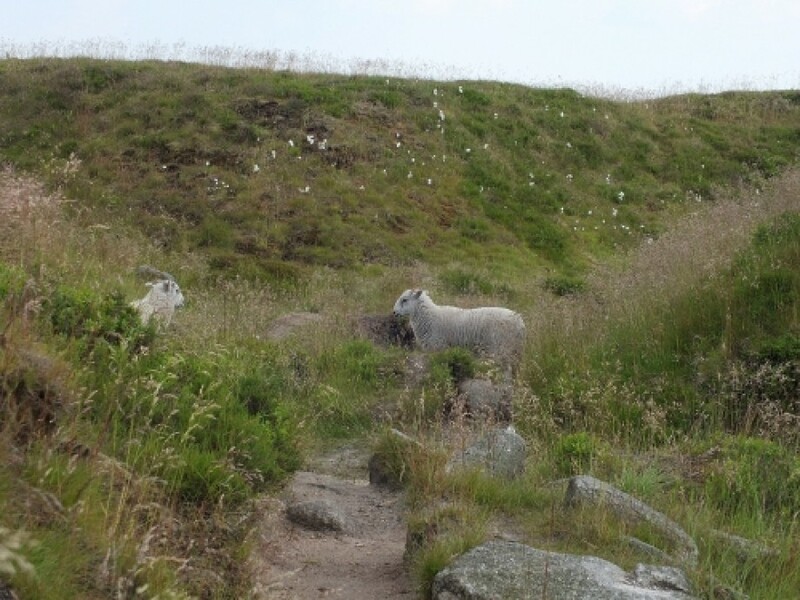 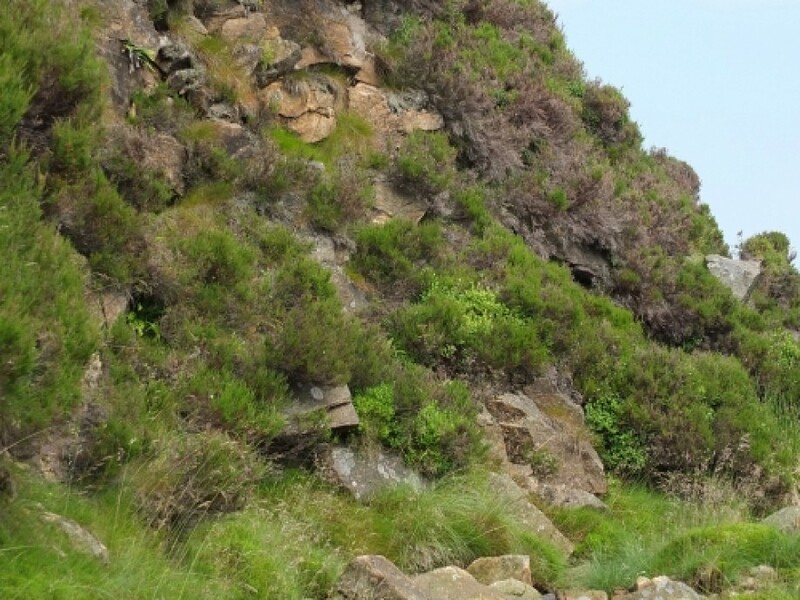 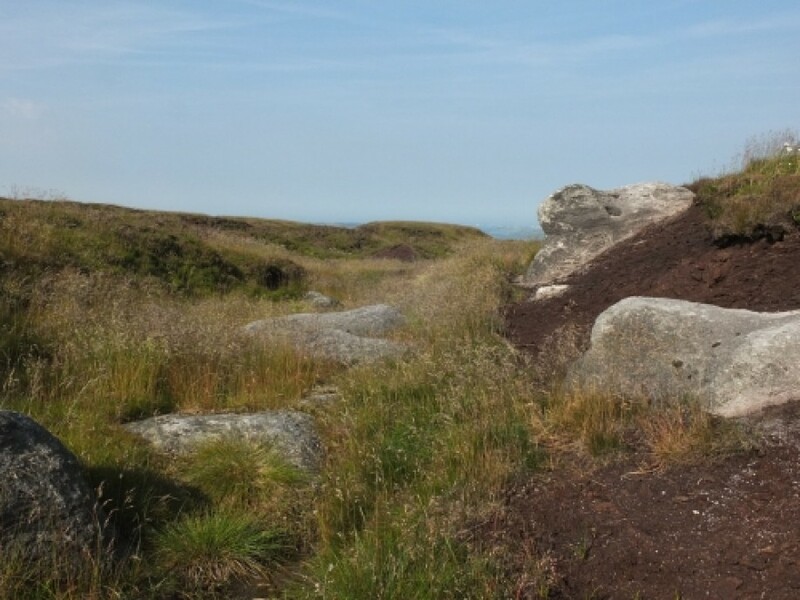 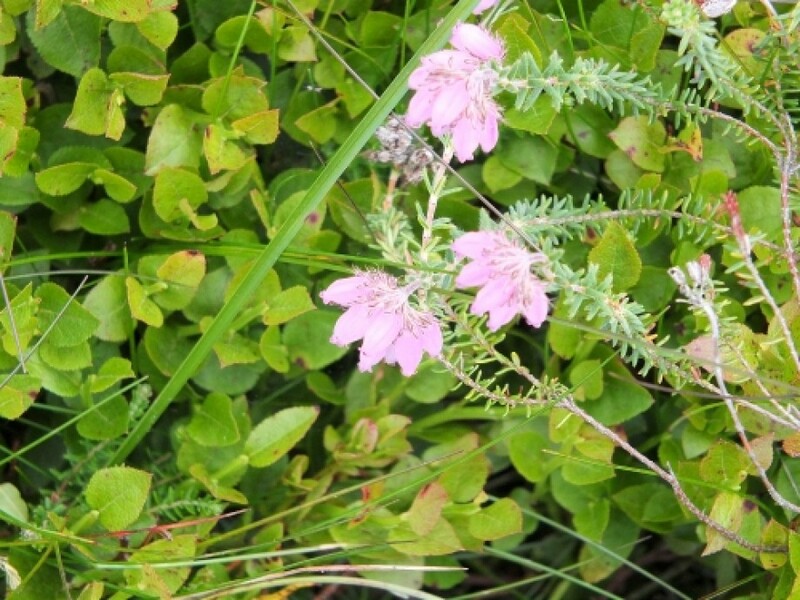 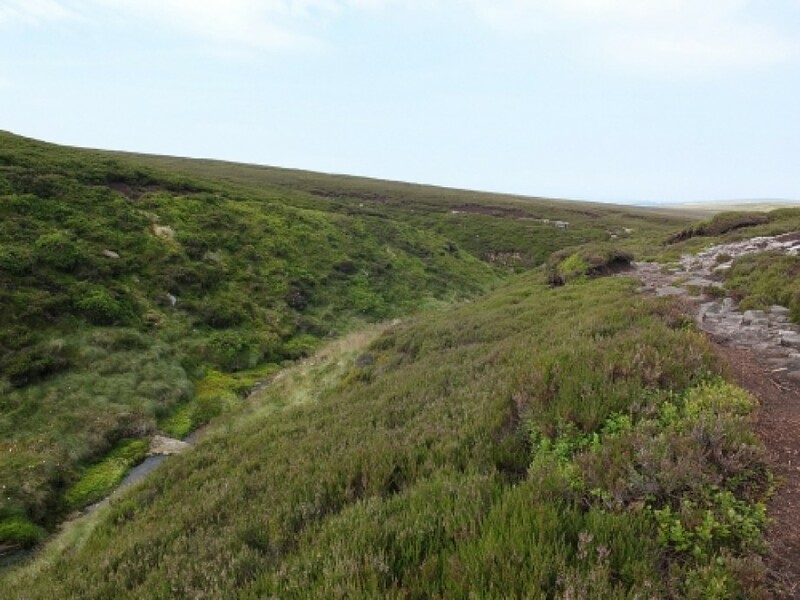 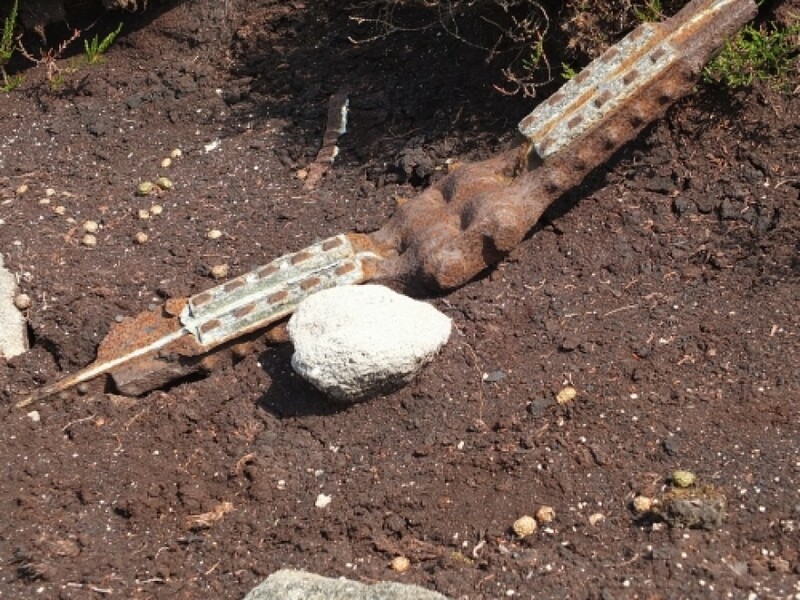 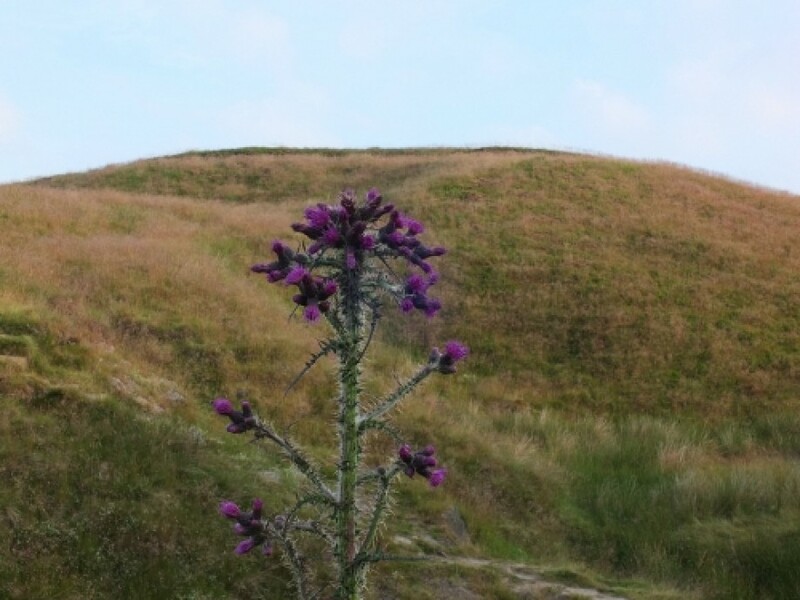 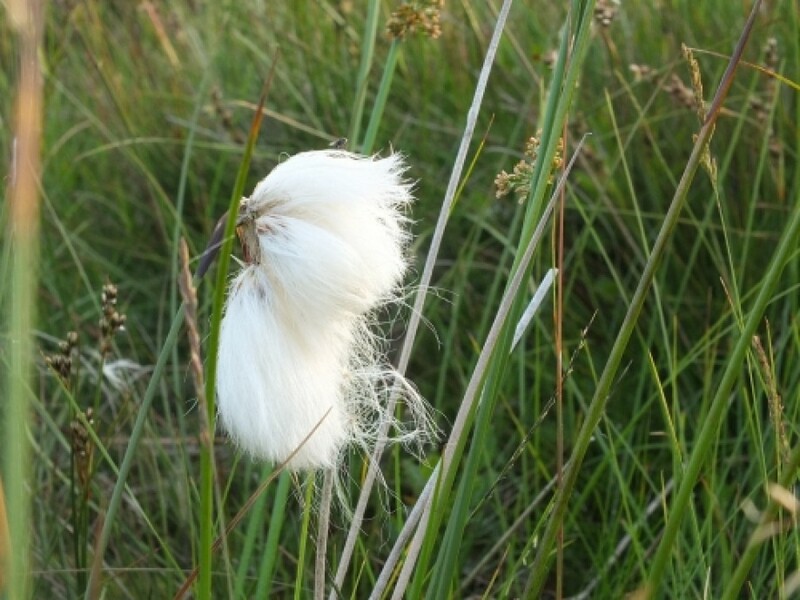 In fact the heather was short , and the dry conditions of July made for an easy crossing . 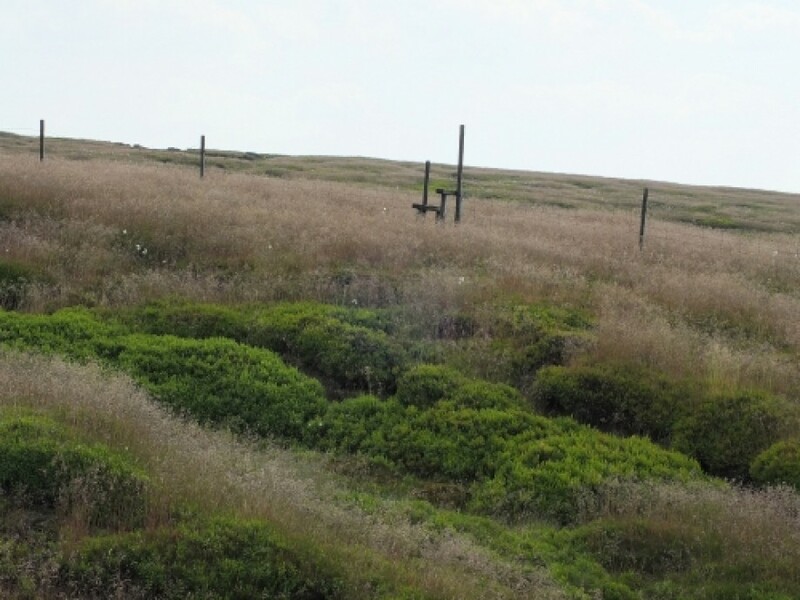 It is important to come out at the stile as the fence is barbed wire .From then on it is an easy track round the rim . 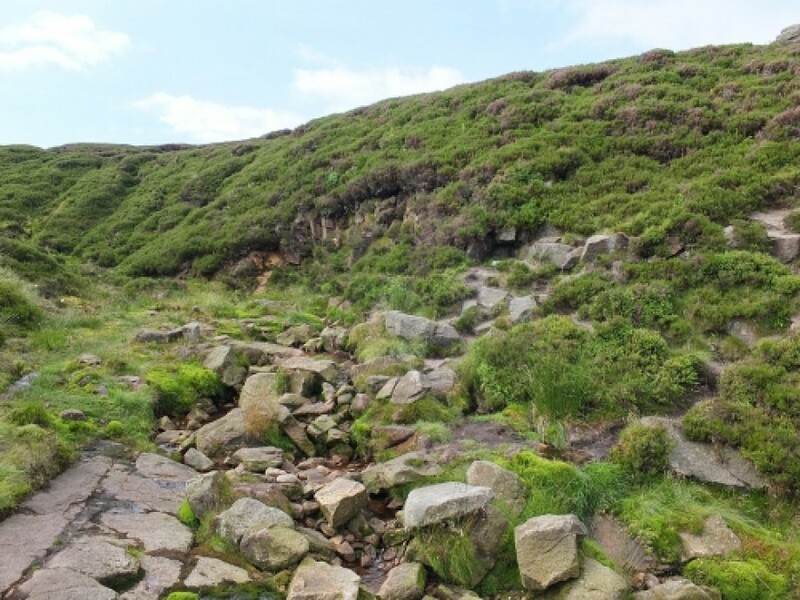 At Shining Clough I'd had enough for one day (27.3 C my SM-28 said) , and whatever the weather , any routes back to the ridge on this side are uphill , and over and around a maze of twisting channels . 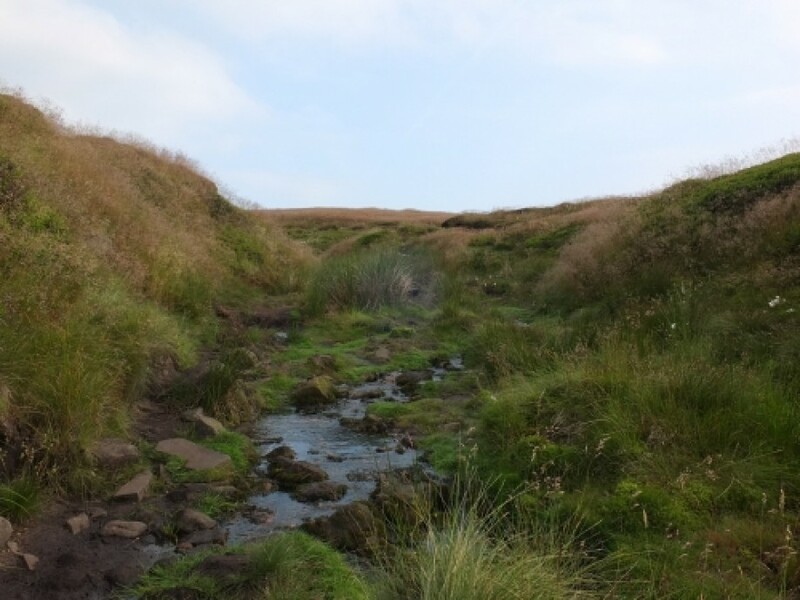 So I 'sort of followed ' the stream uphill , with an objective of the stile on the fence by one of the feeder streams of Wildboar Clough - SK 090 971 is the area . 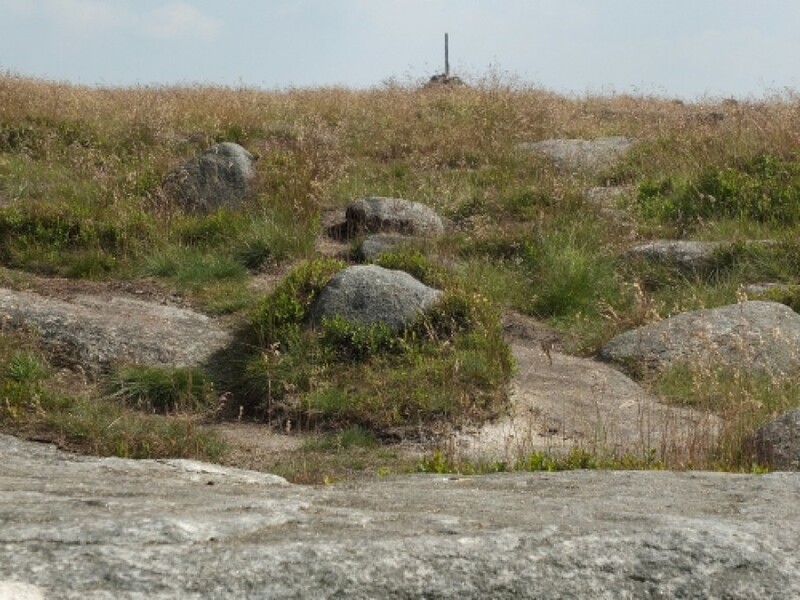 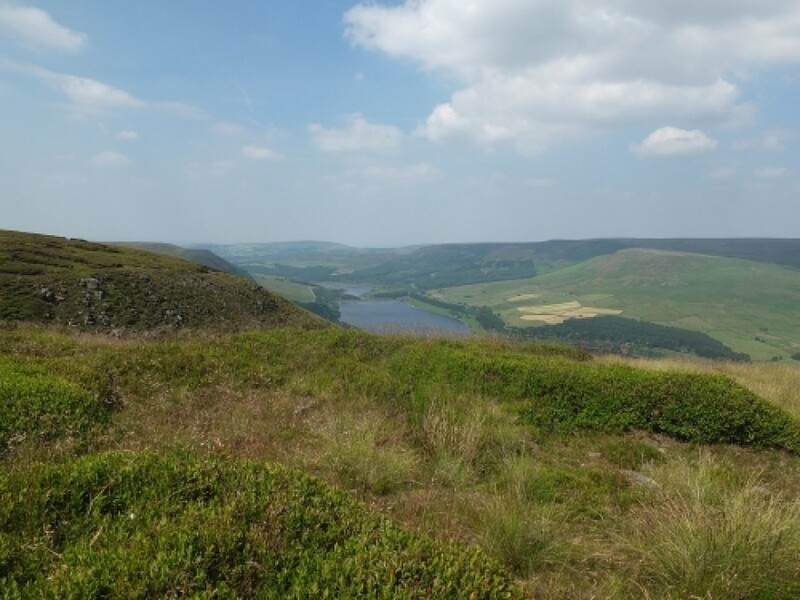 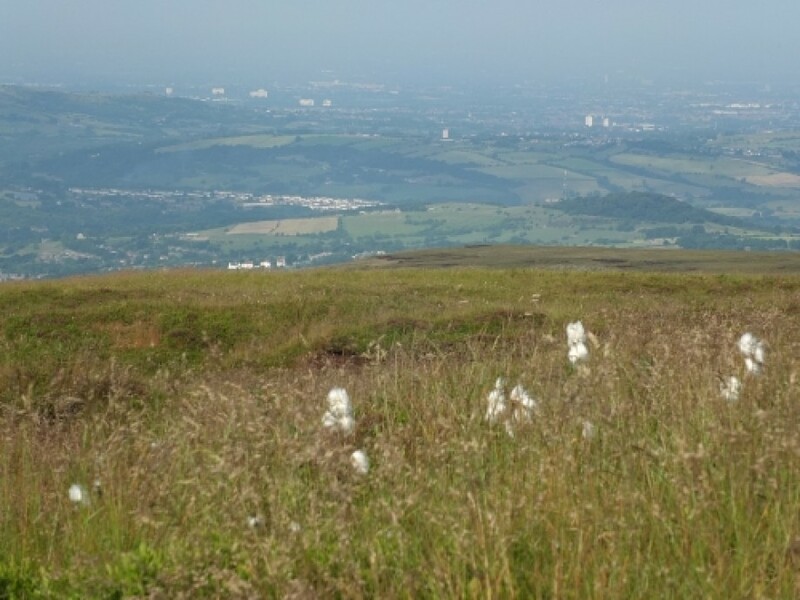 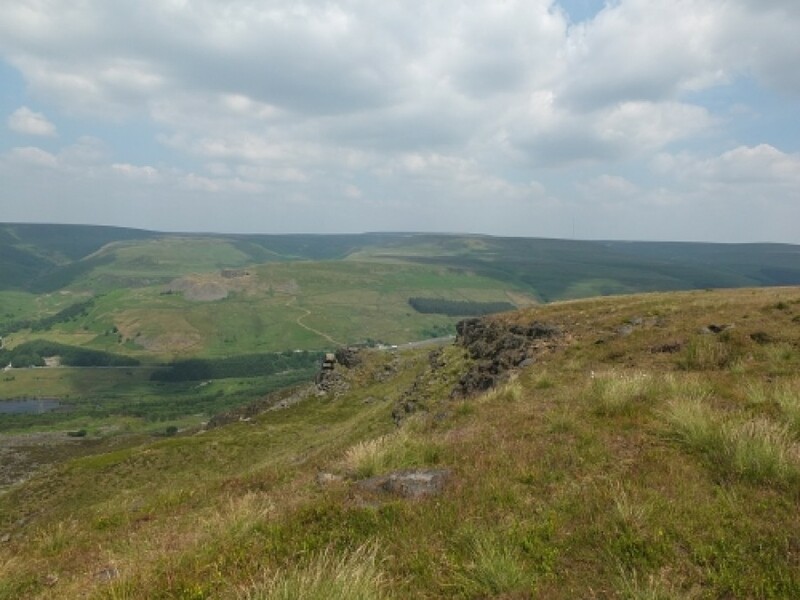 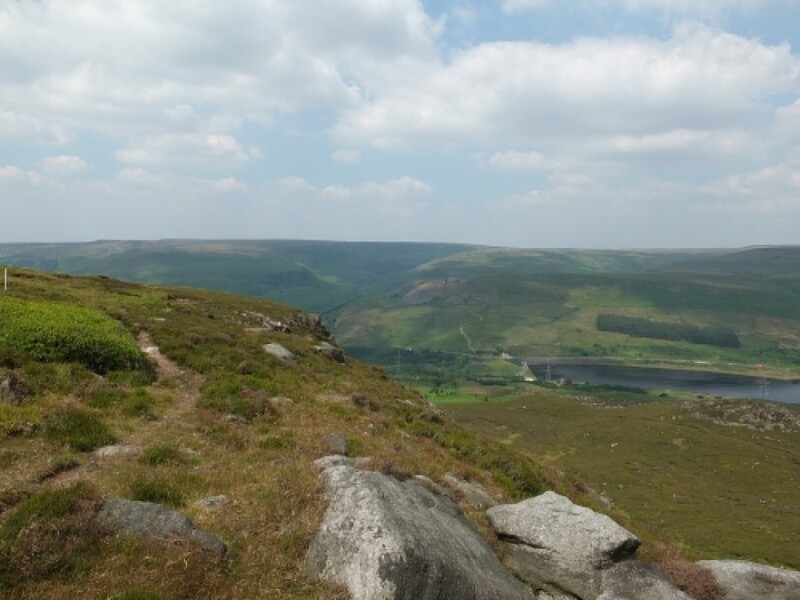 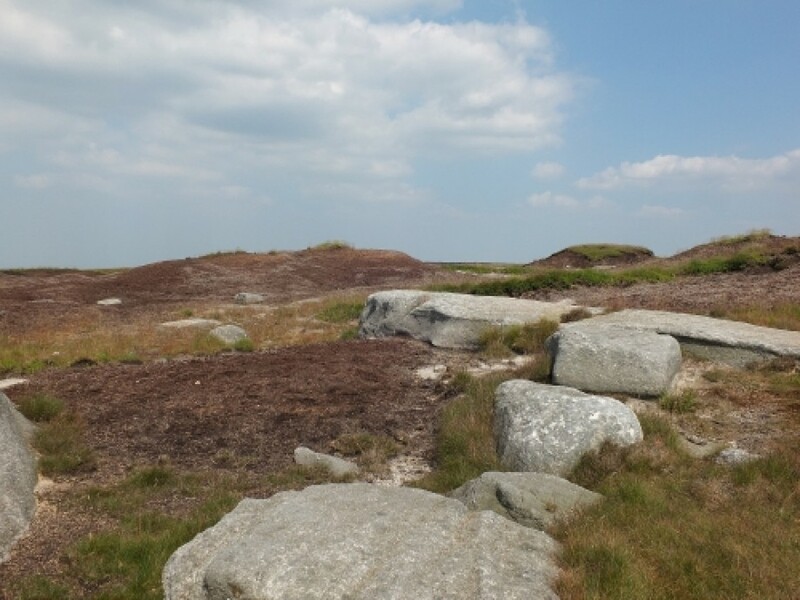 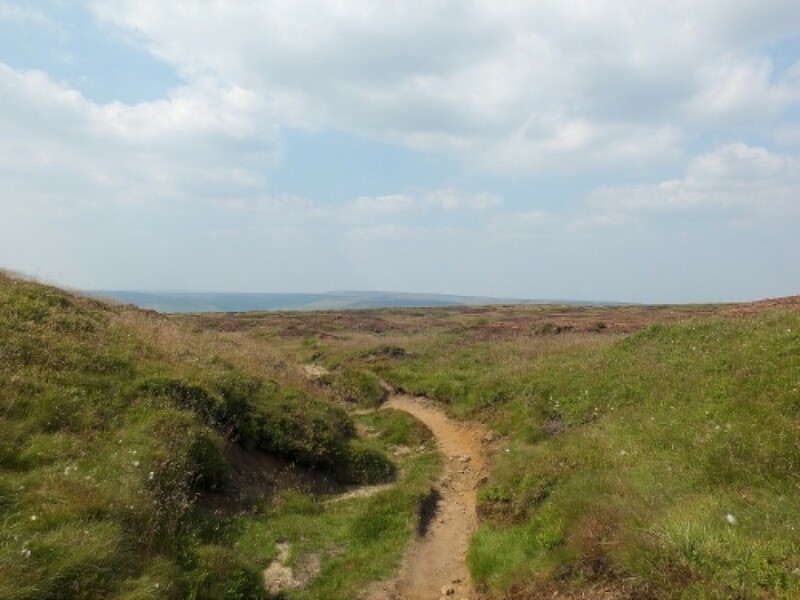 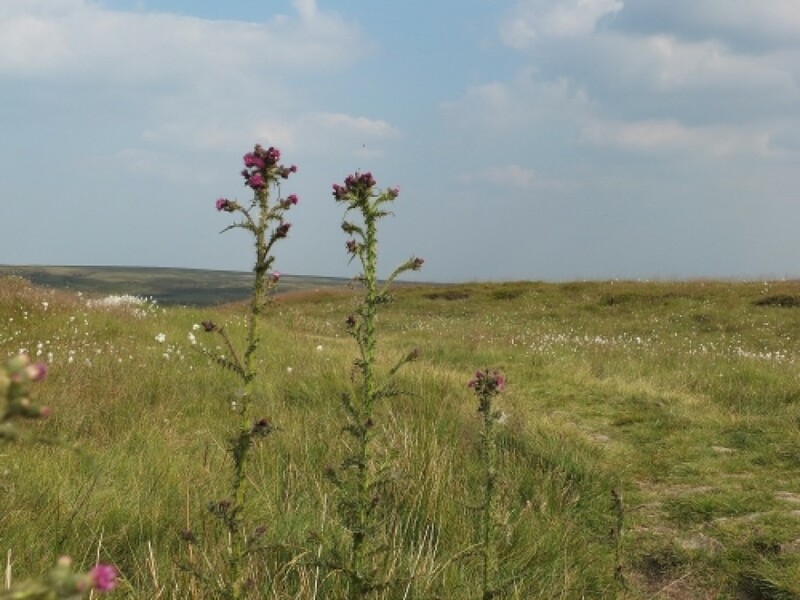 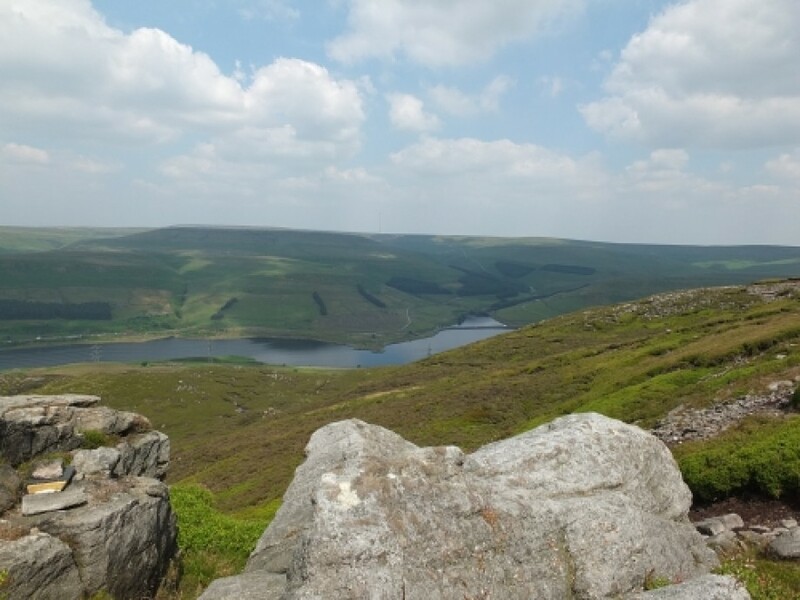 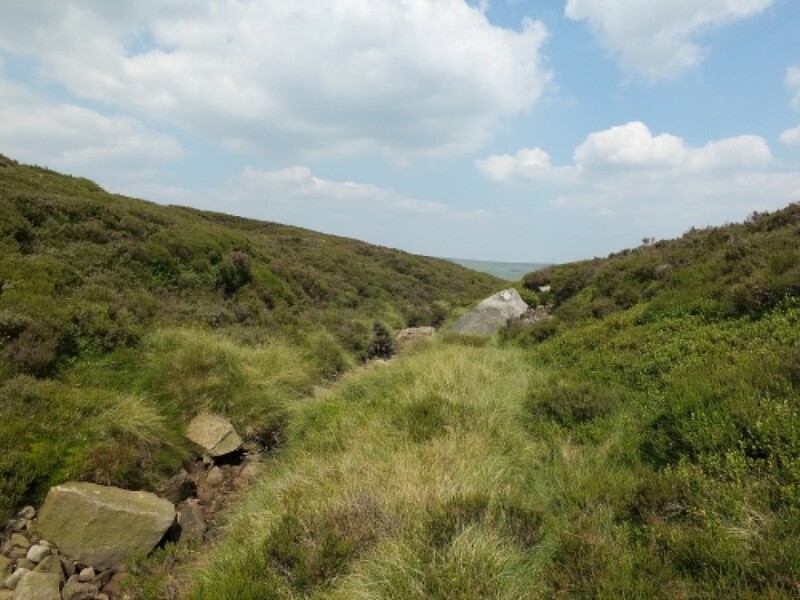 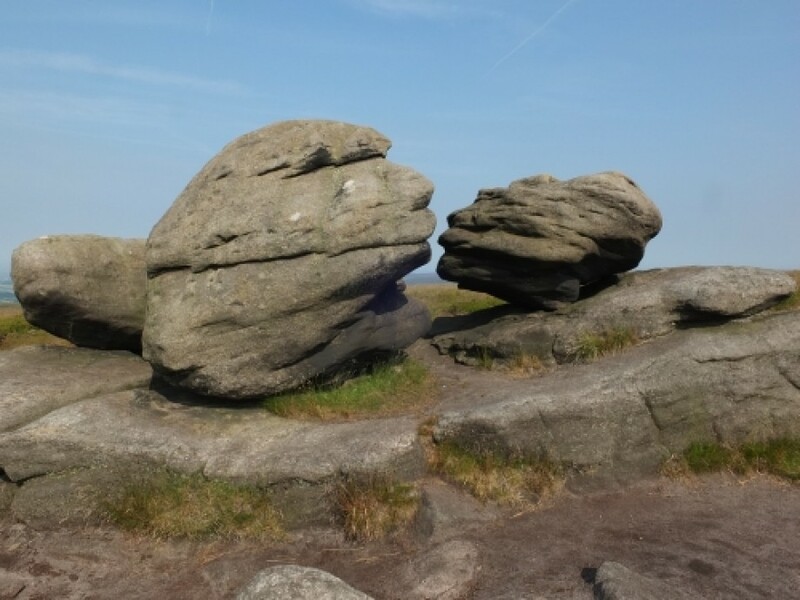 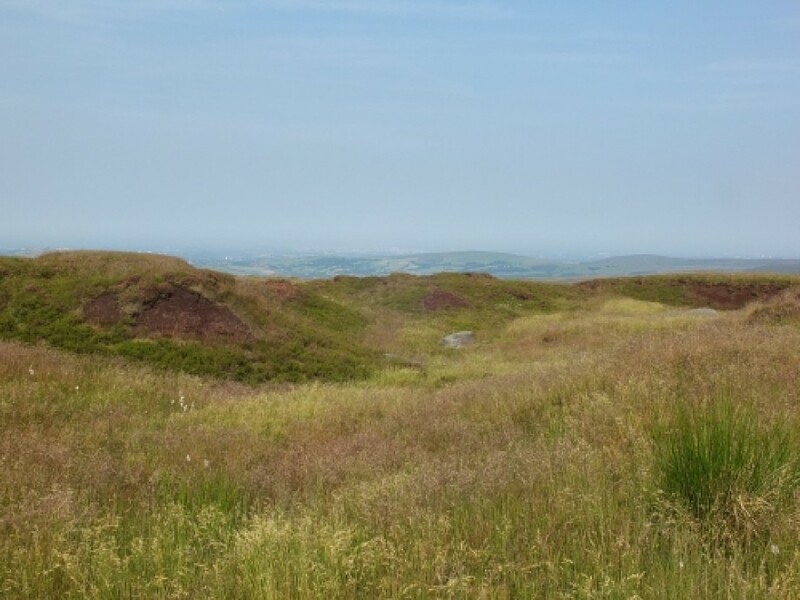 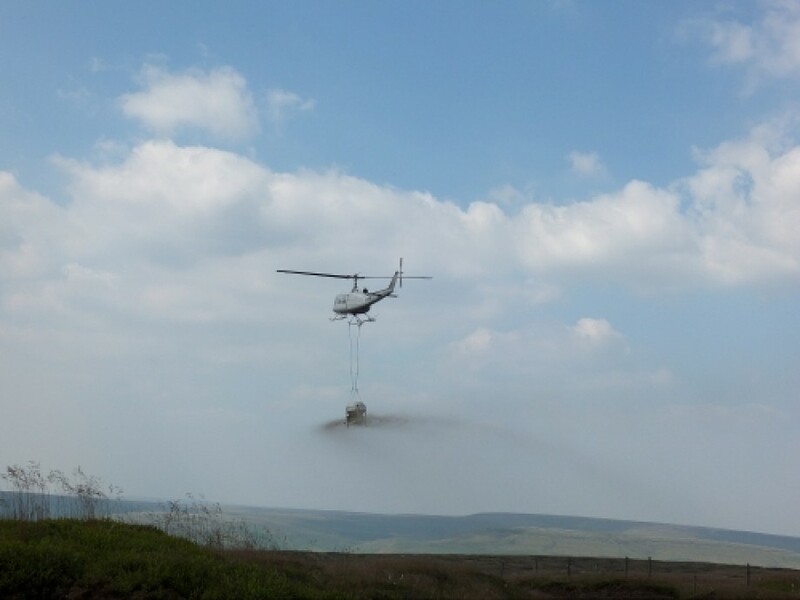 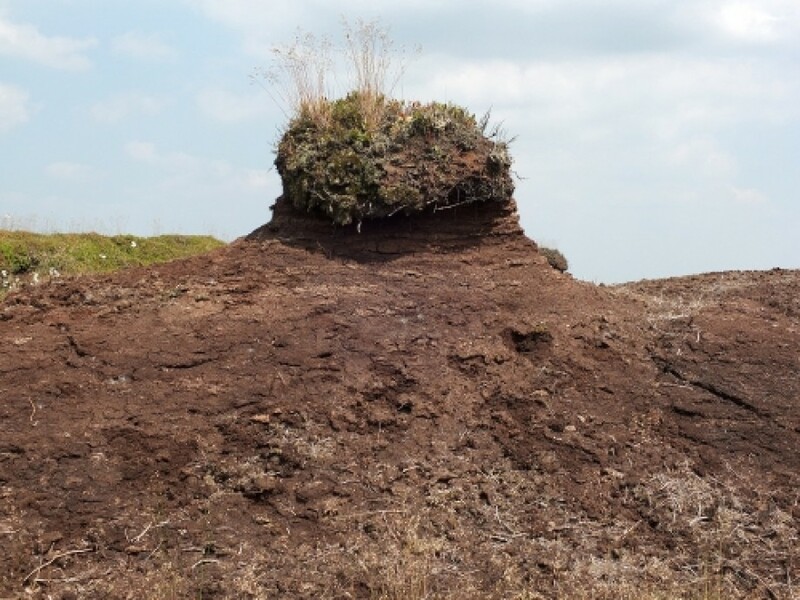 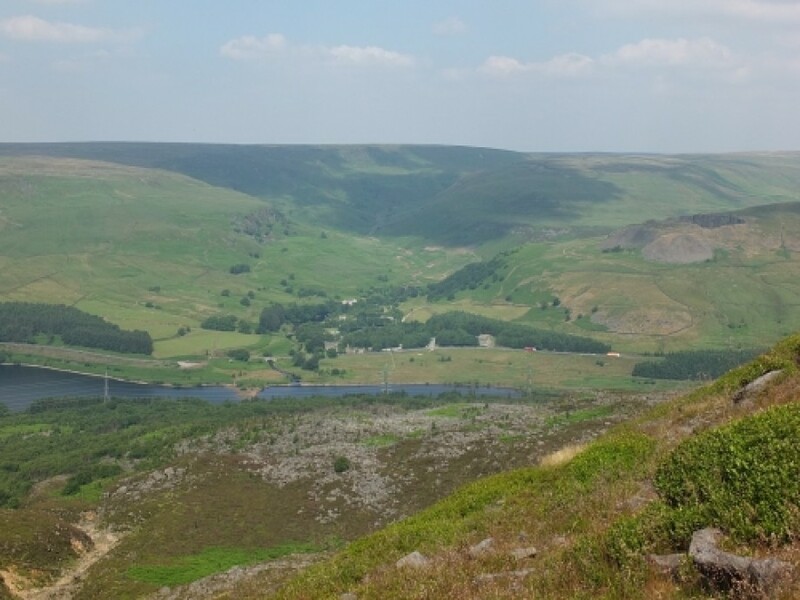 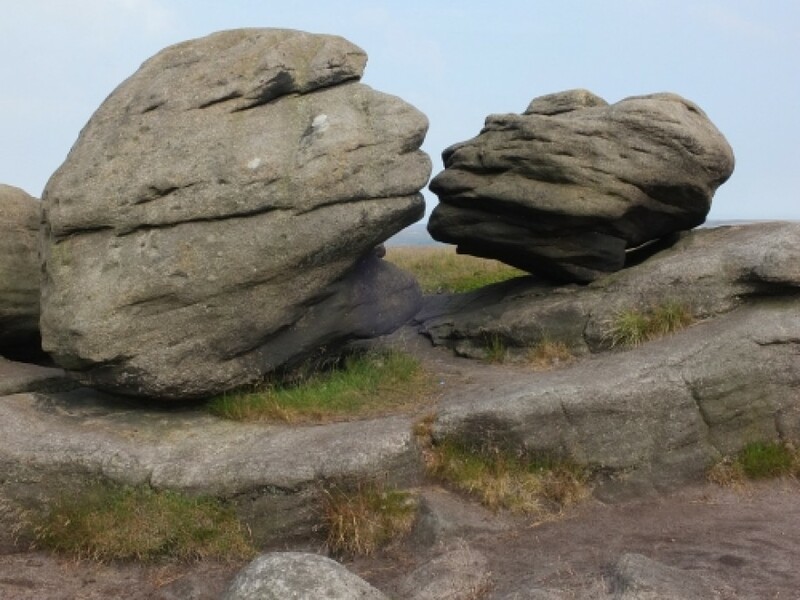 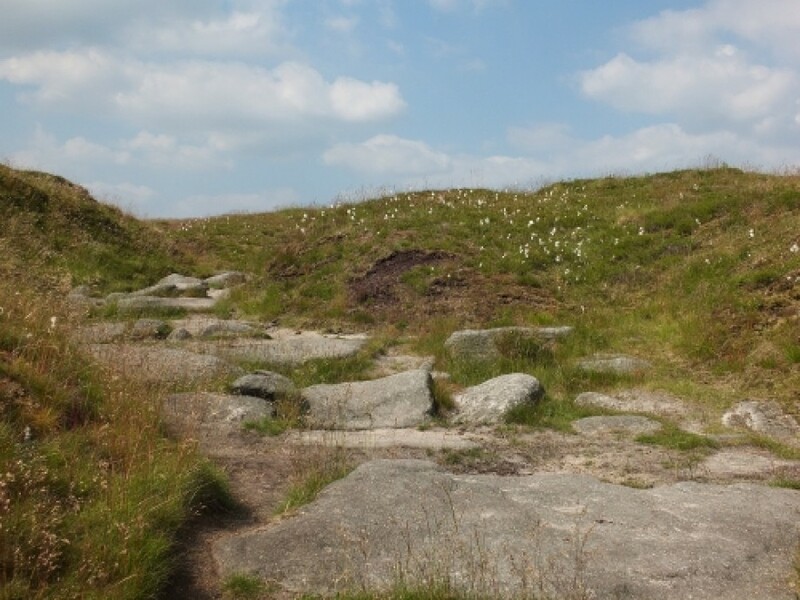 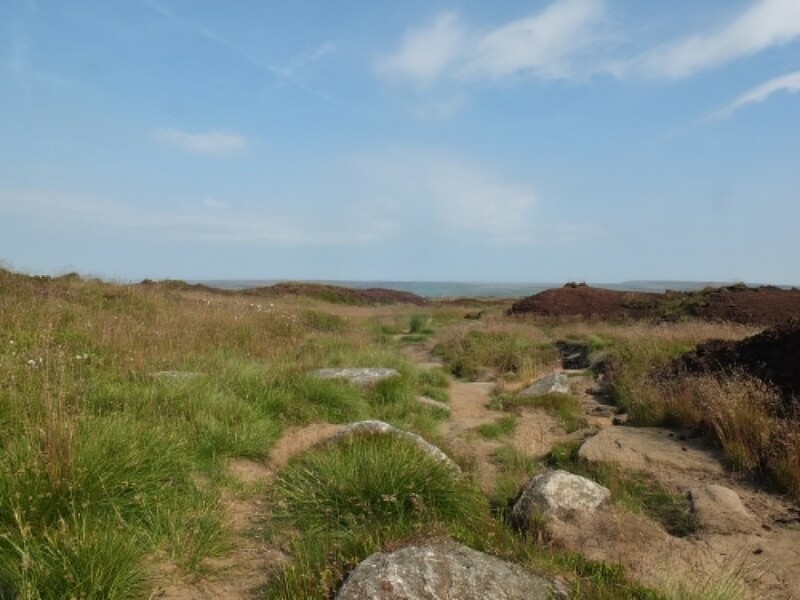 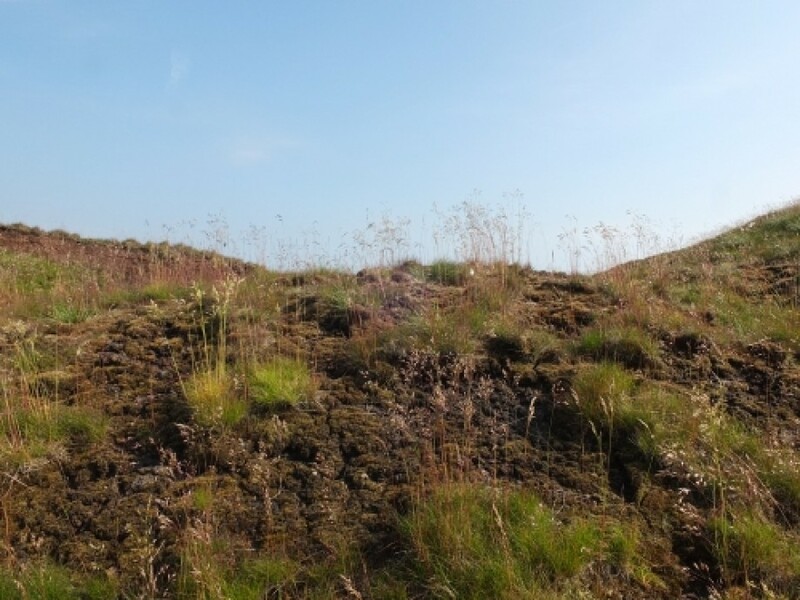 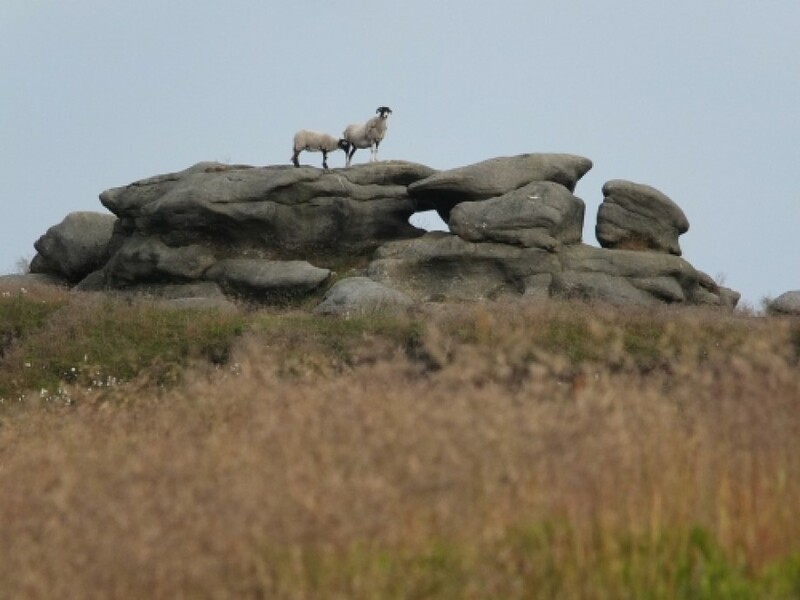 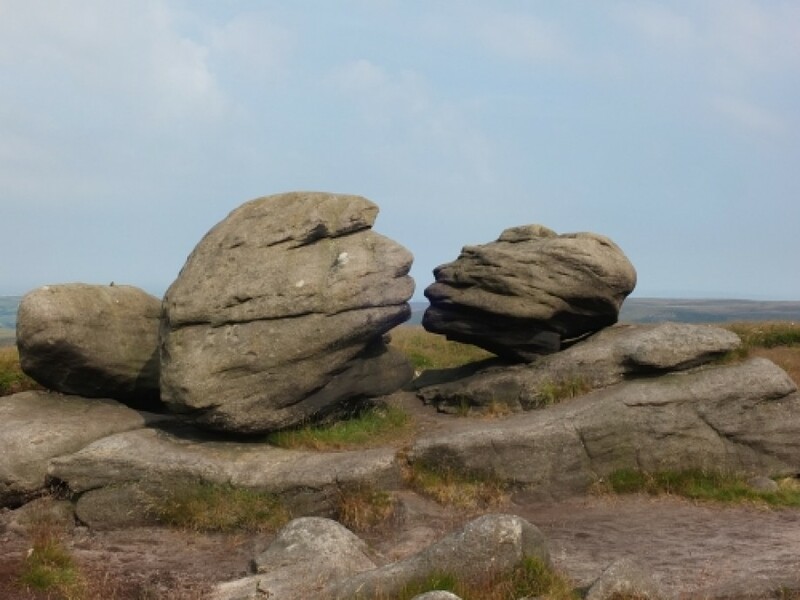 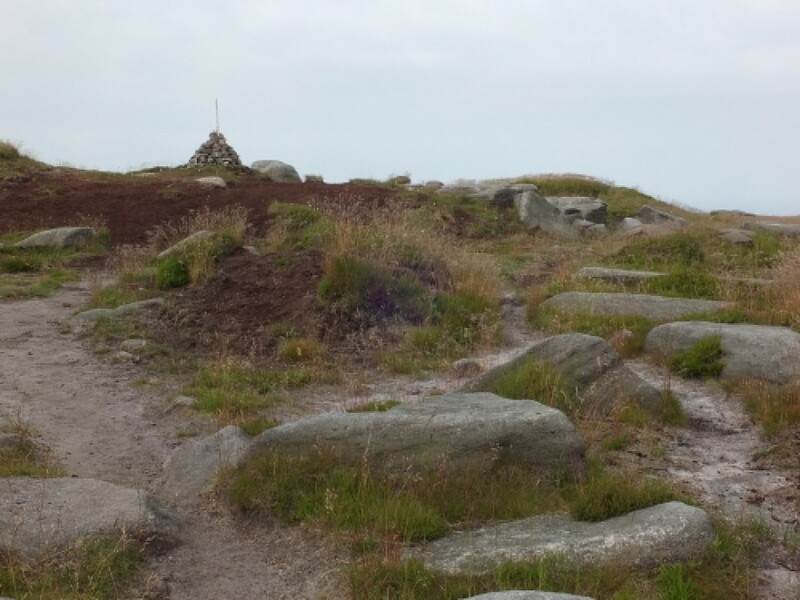 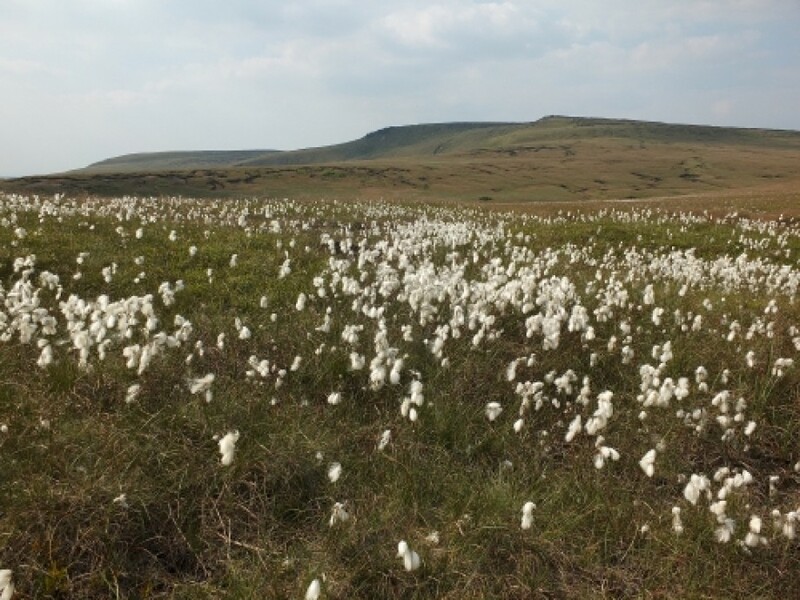 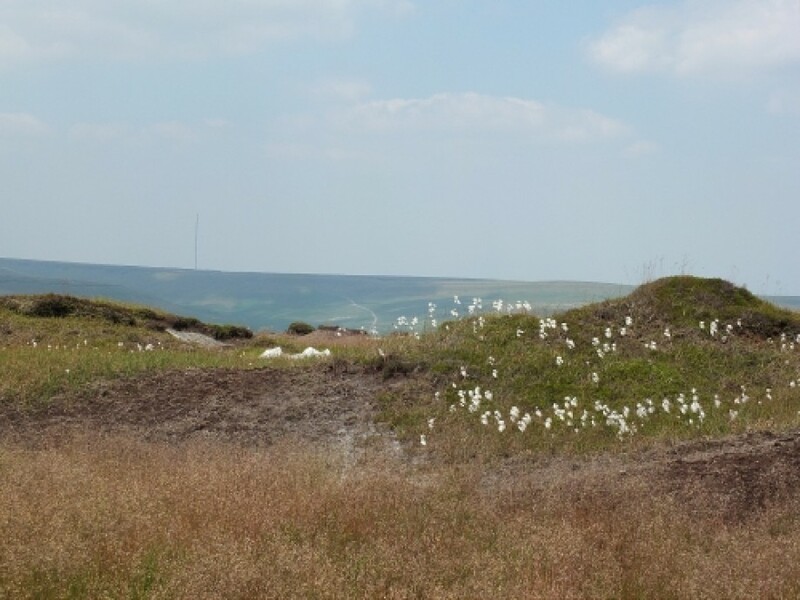 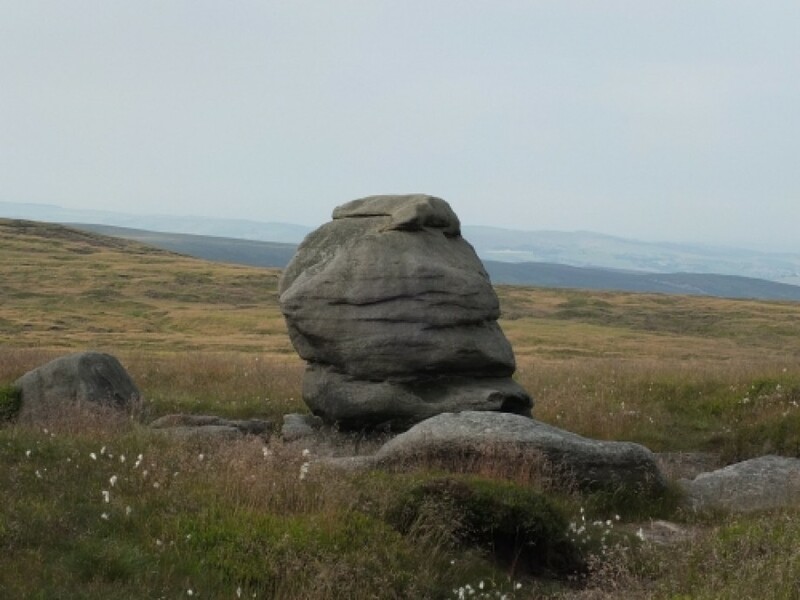 Anyone used to the moors will know exactly what I mean .After that it was a pleasant dawdle back to the car , with mercifully , cloud giving intermittent relief from the sun . 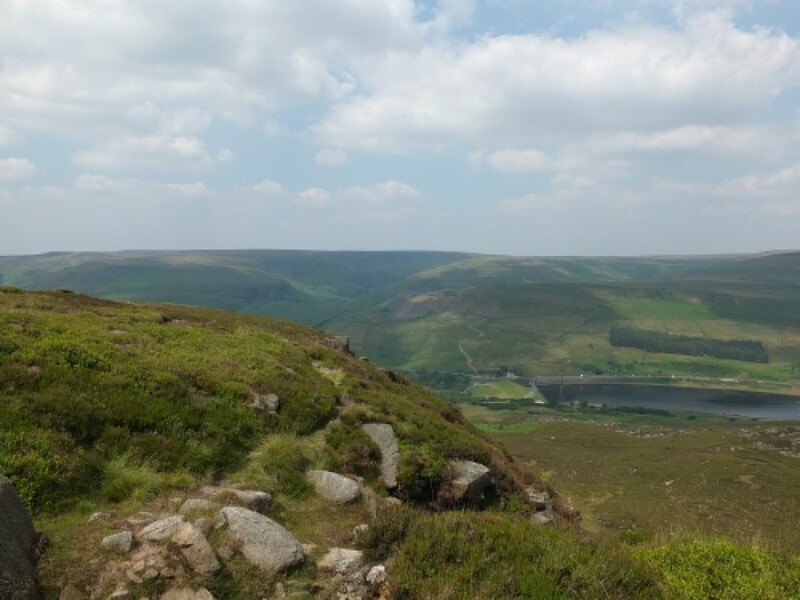 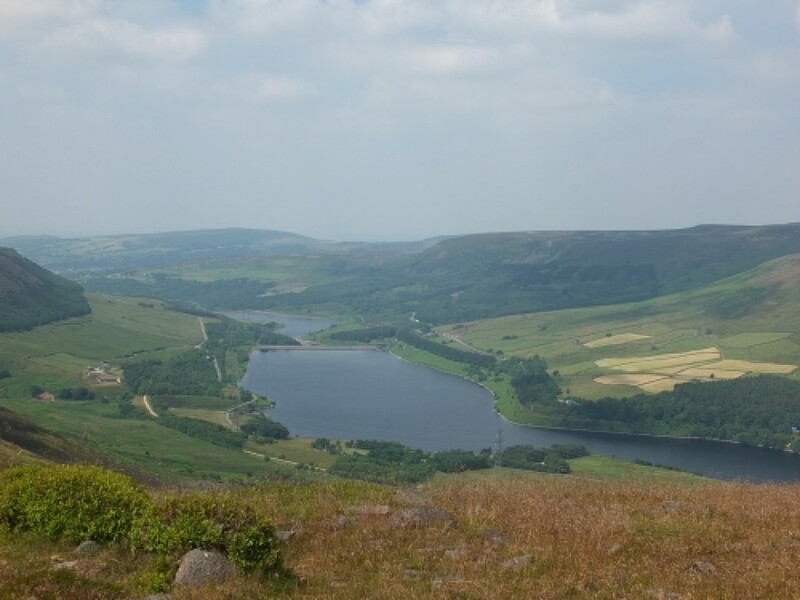 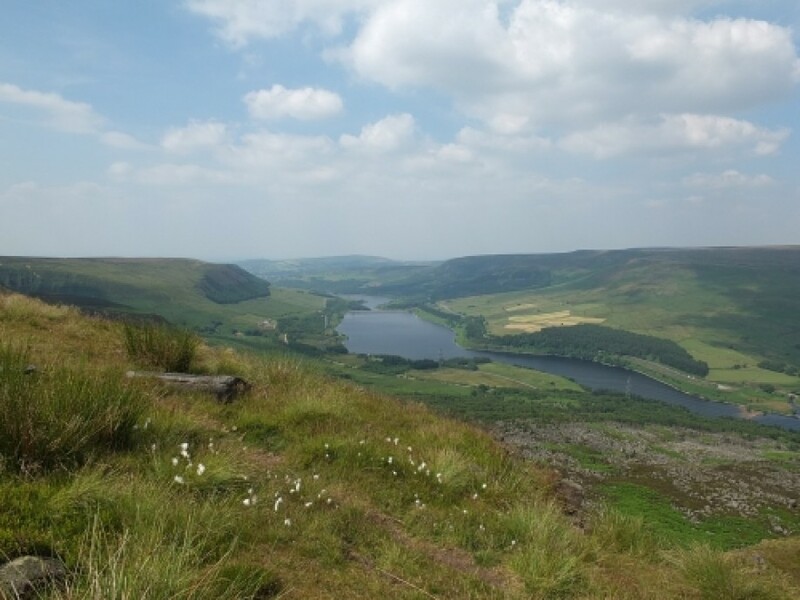 And with the added incentive of a long drink , as I'd finished the three litres of water I took up with me at the second visit to Bleaklow Head . 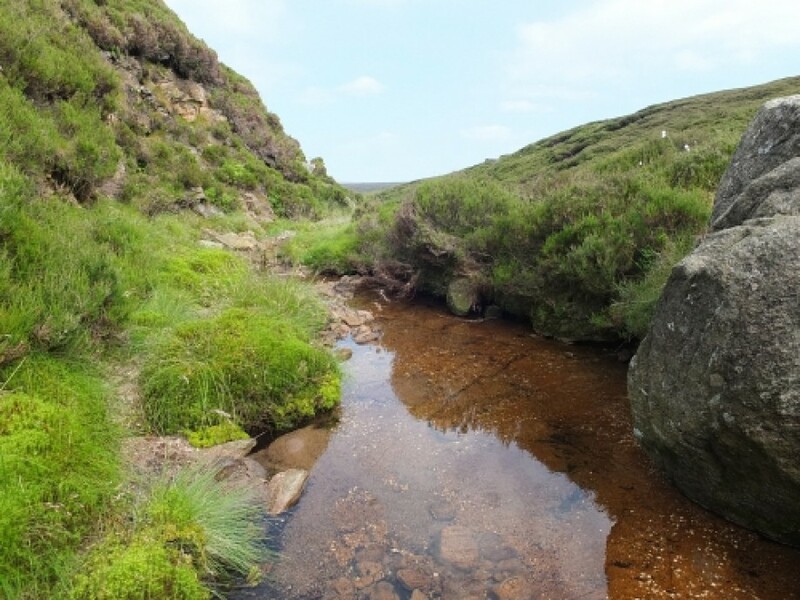 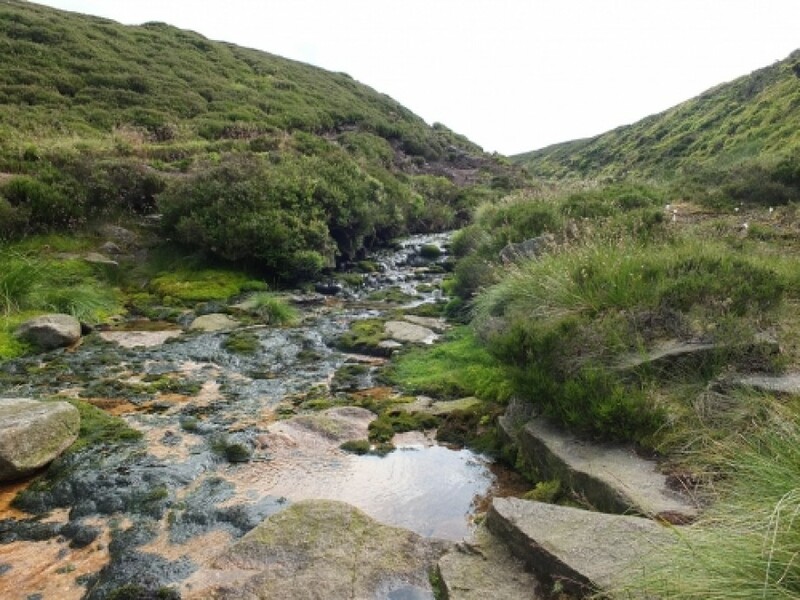 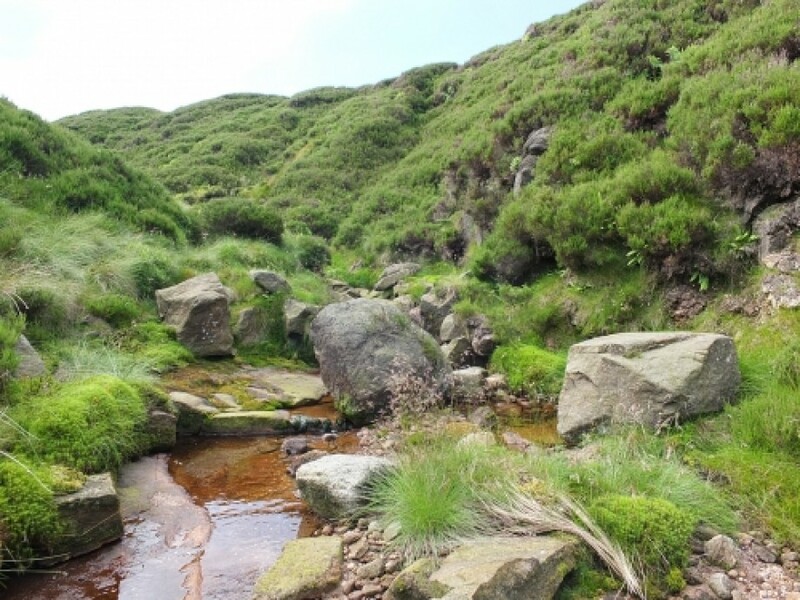 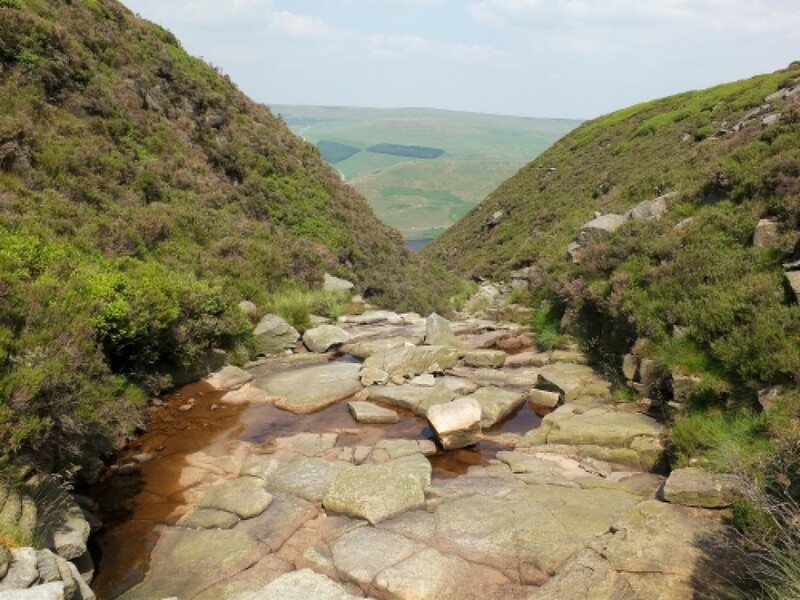 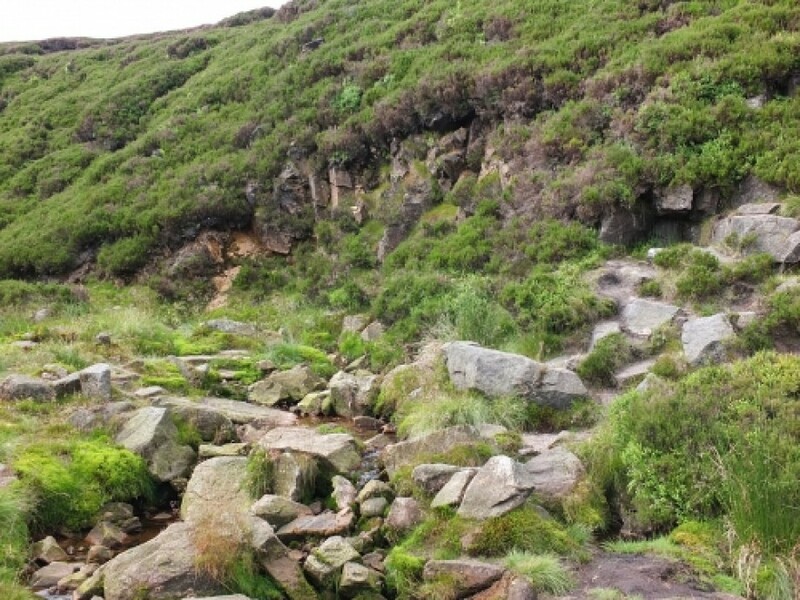 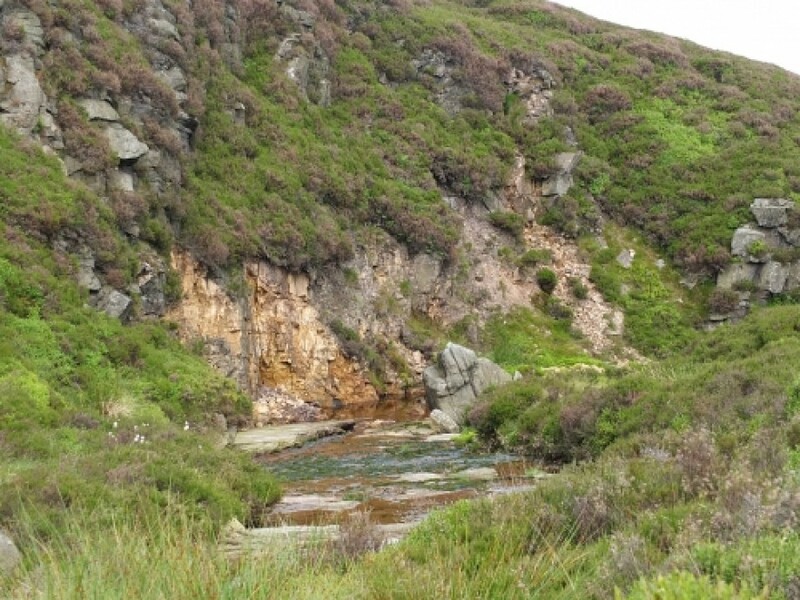 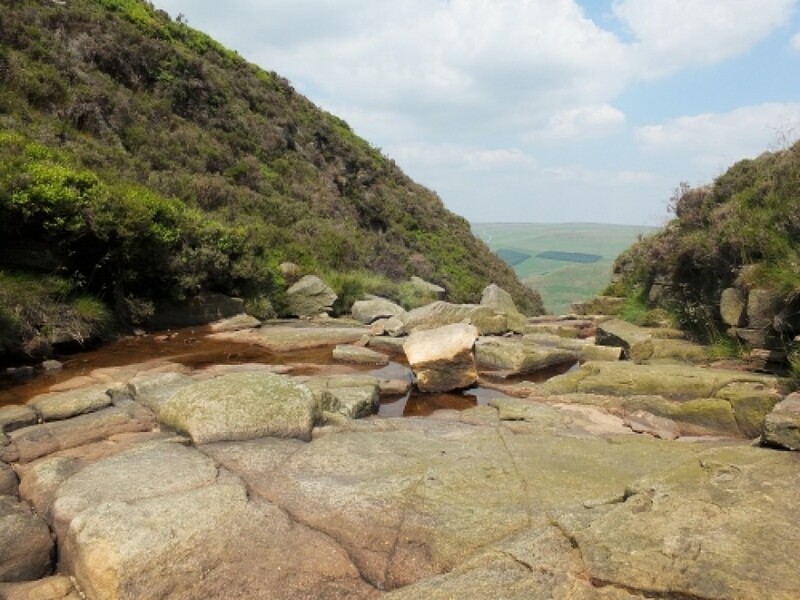 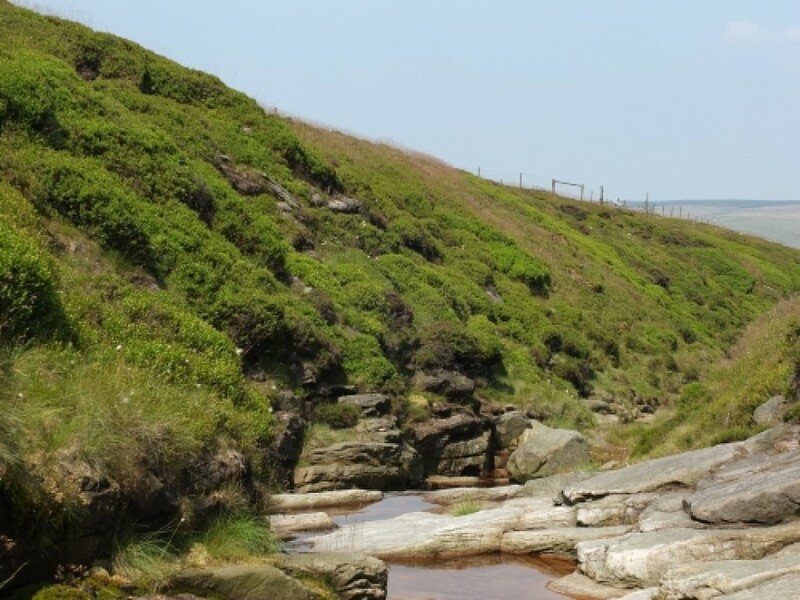 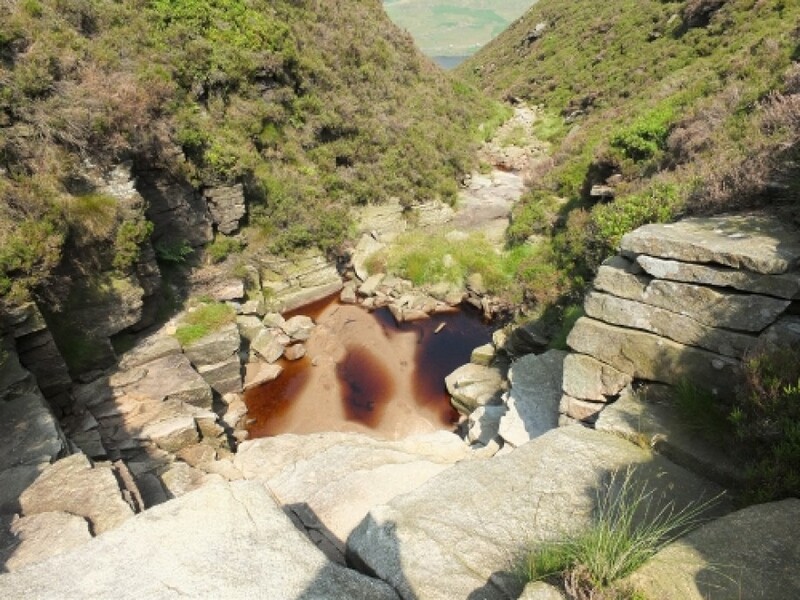 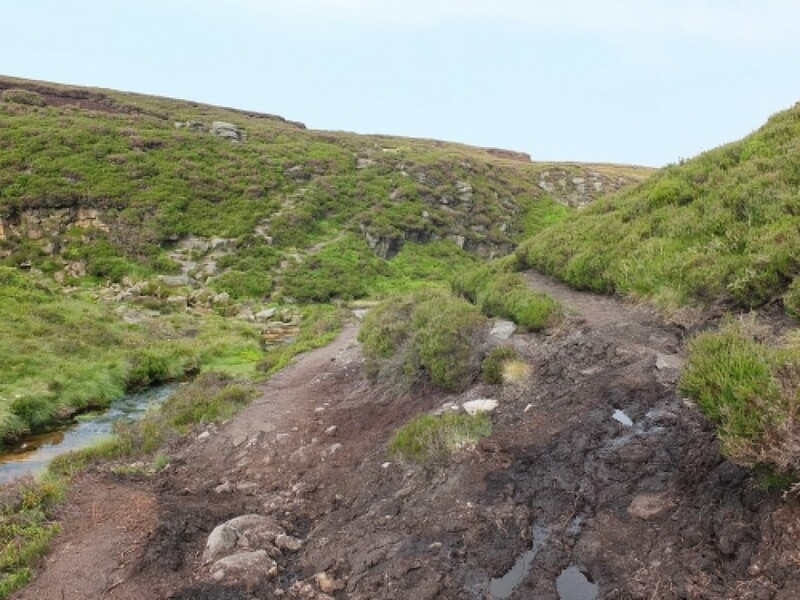 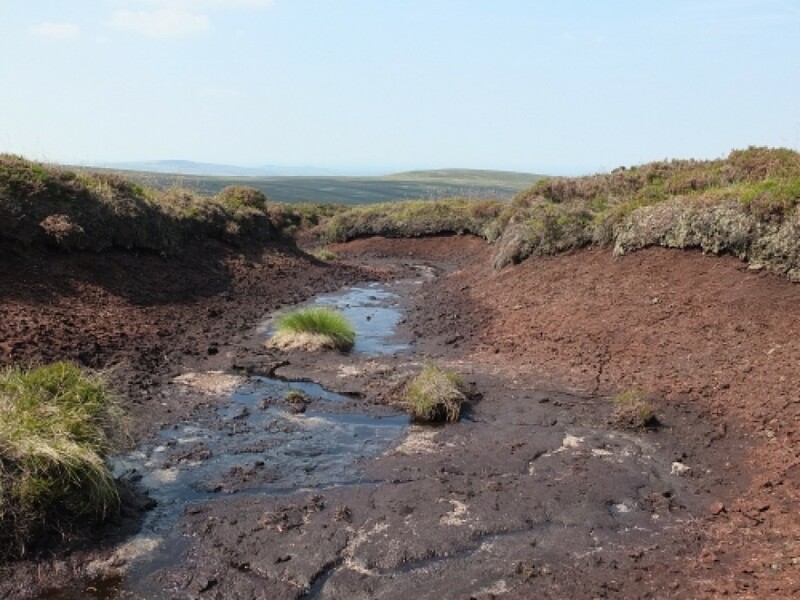 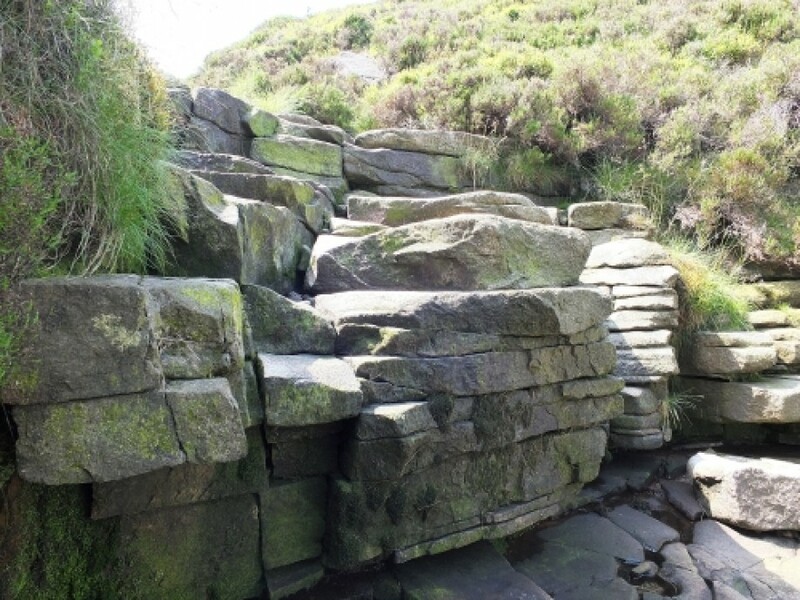 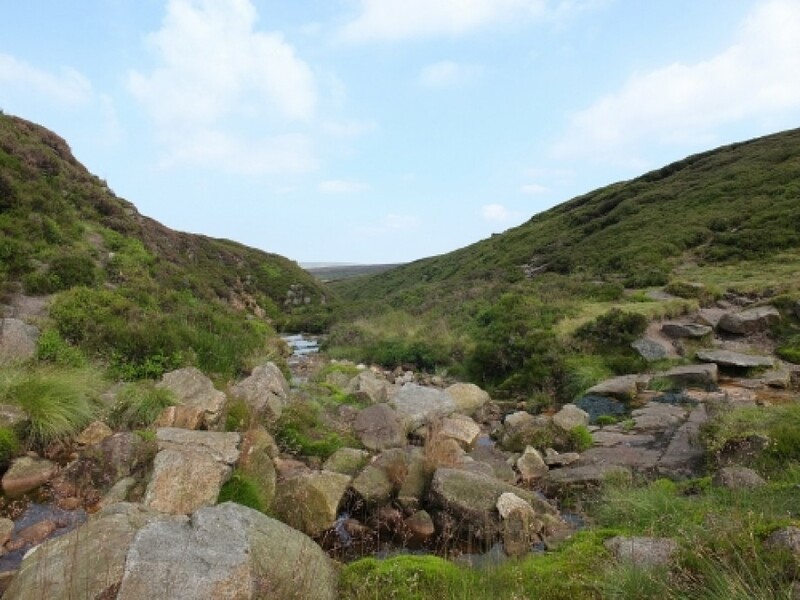 The state of the top waterfalls in Shining Clough gives some idea of how dry it is .All in all , an excellent , day , and I shall be back to complete the circuit from Shining Clough onward . 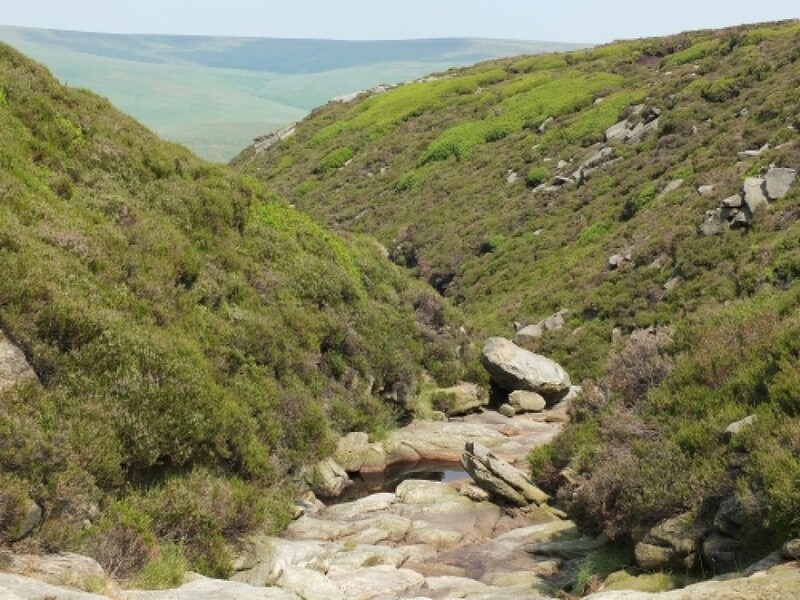 None really , other than the obvious take loads of water in temperatures like this - I gather at least one person was taken off by the Mountain Rescue with heat stroke on the same day .